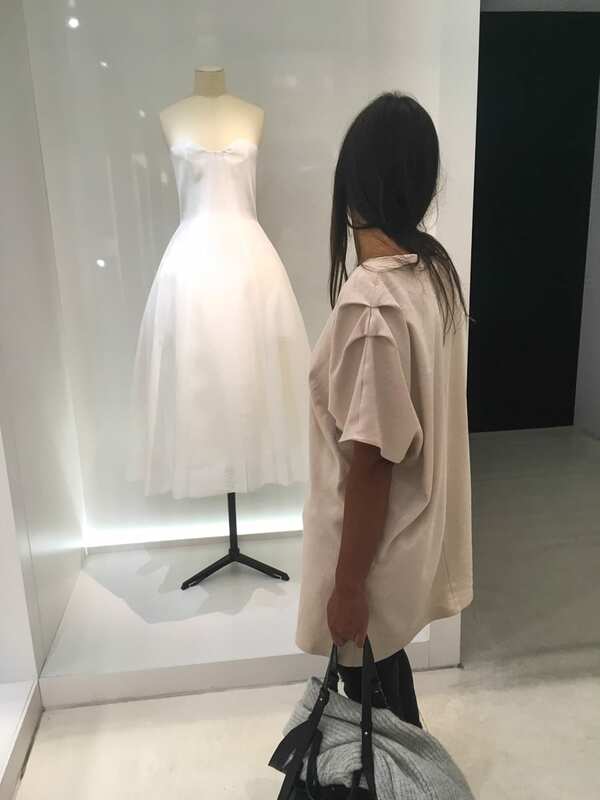 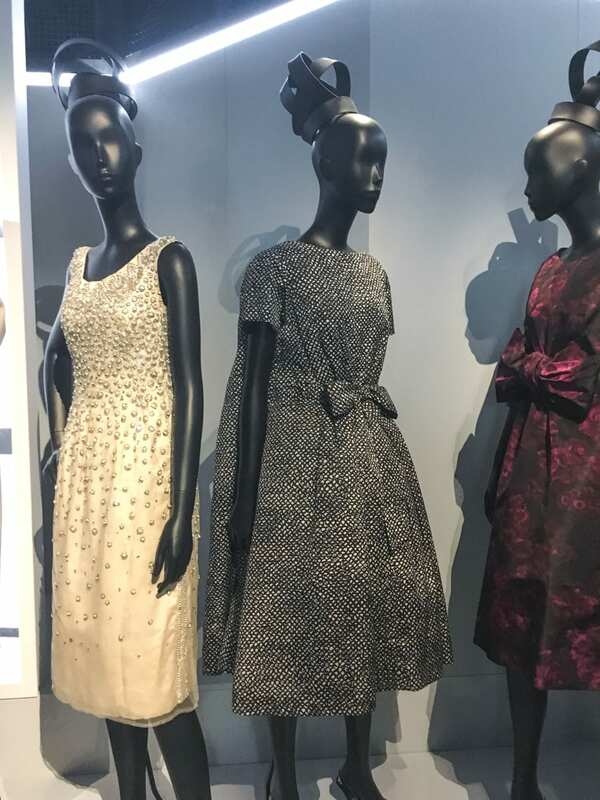 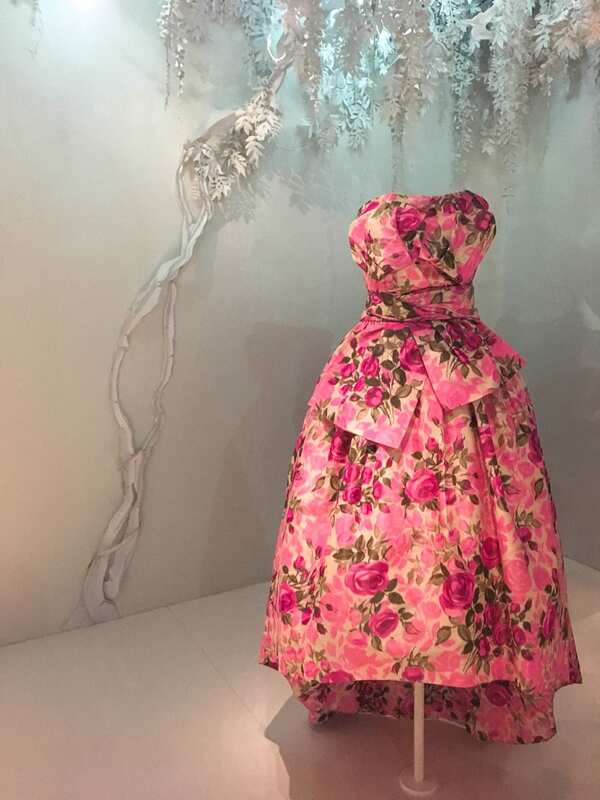 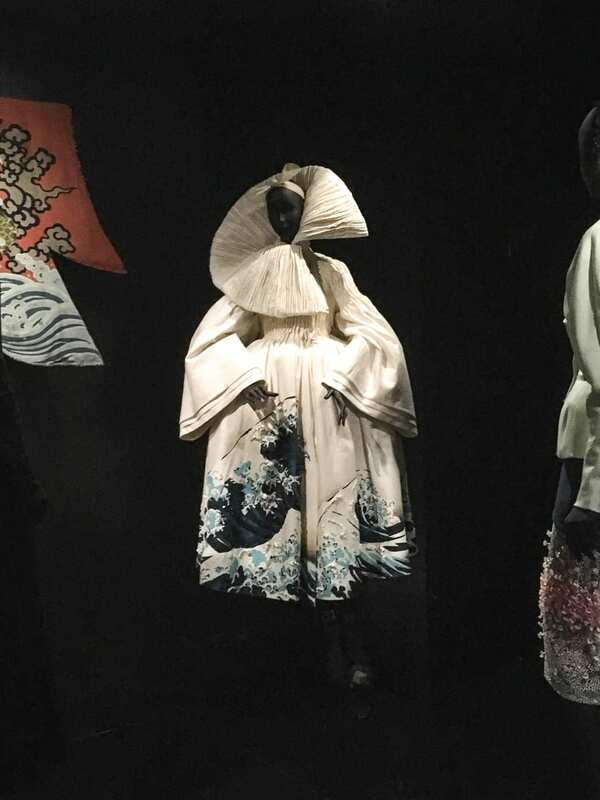 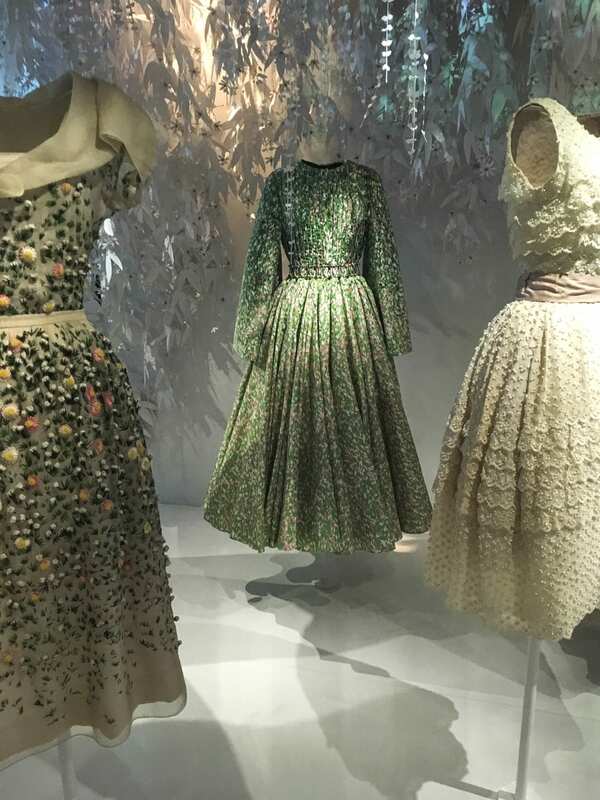 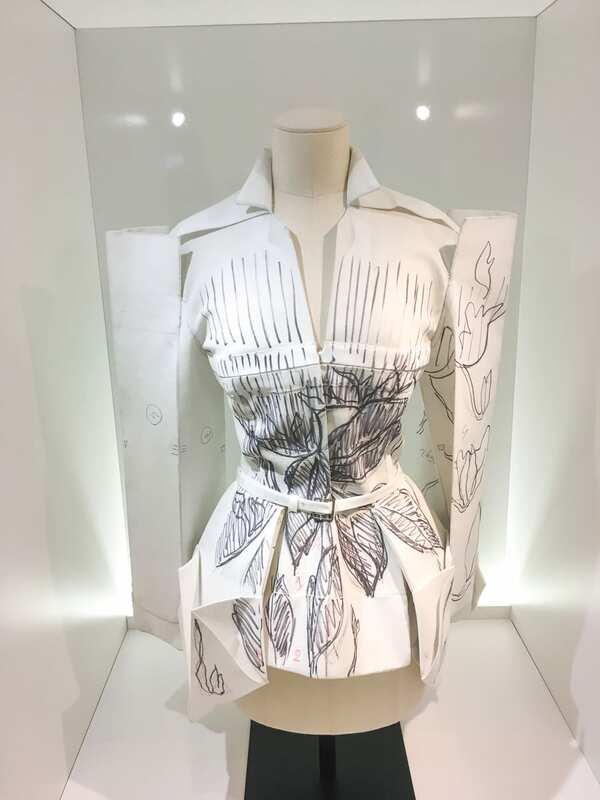 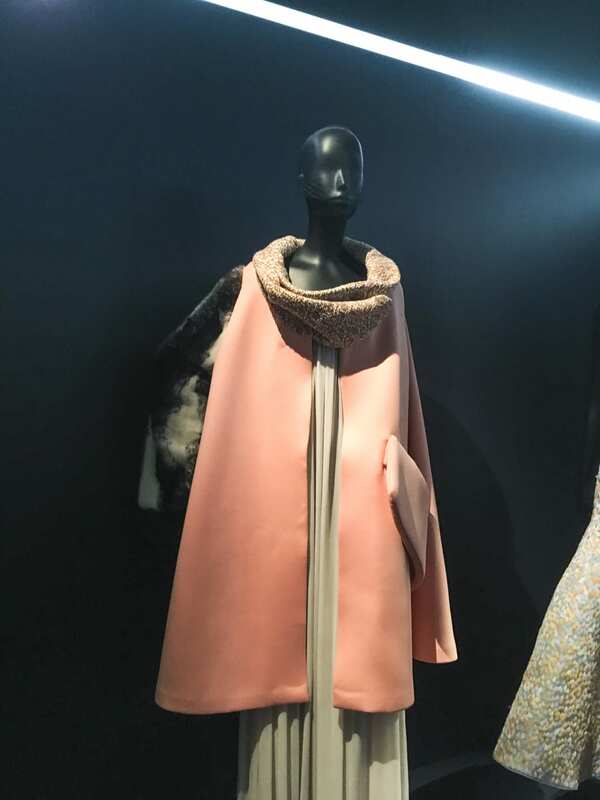 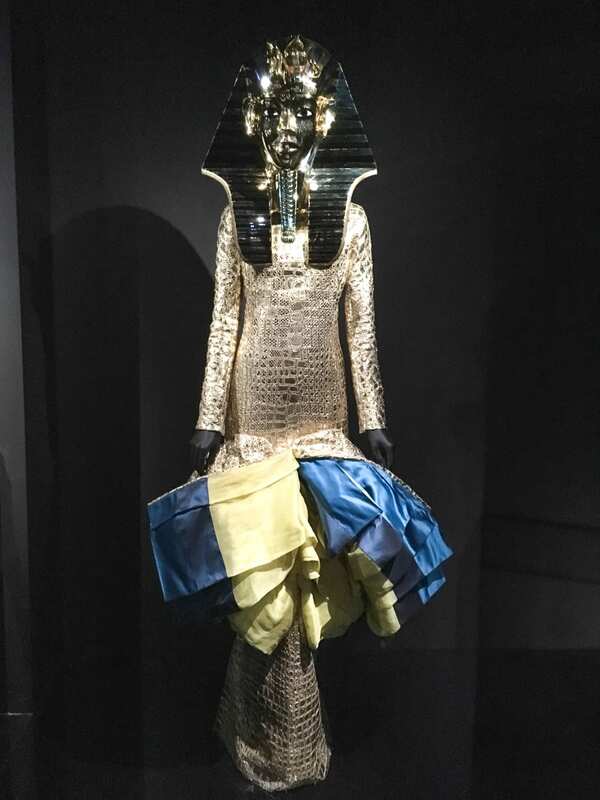 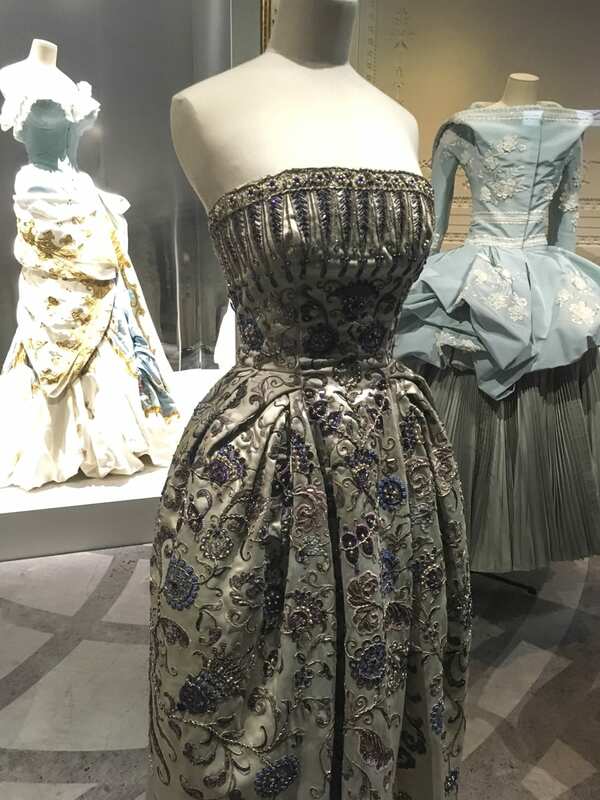 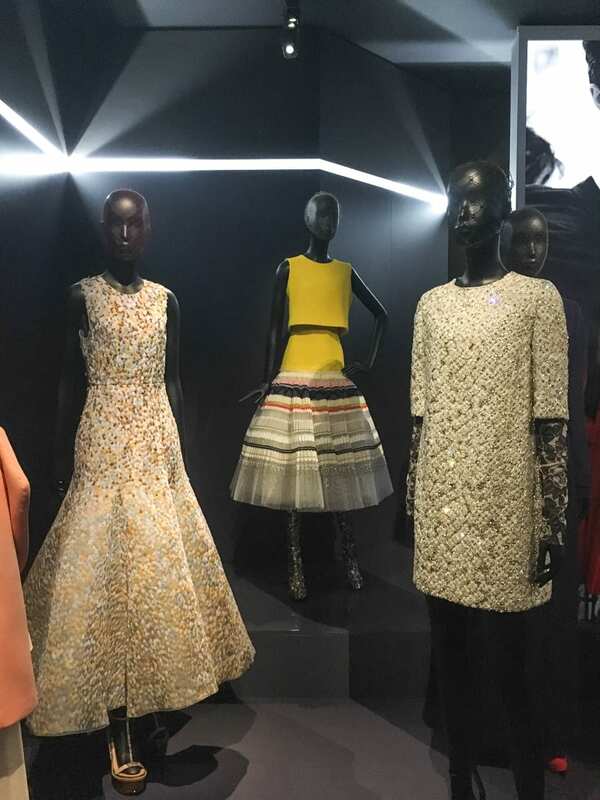 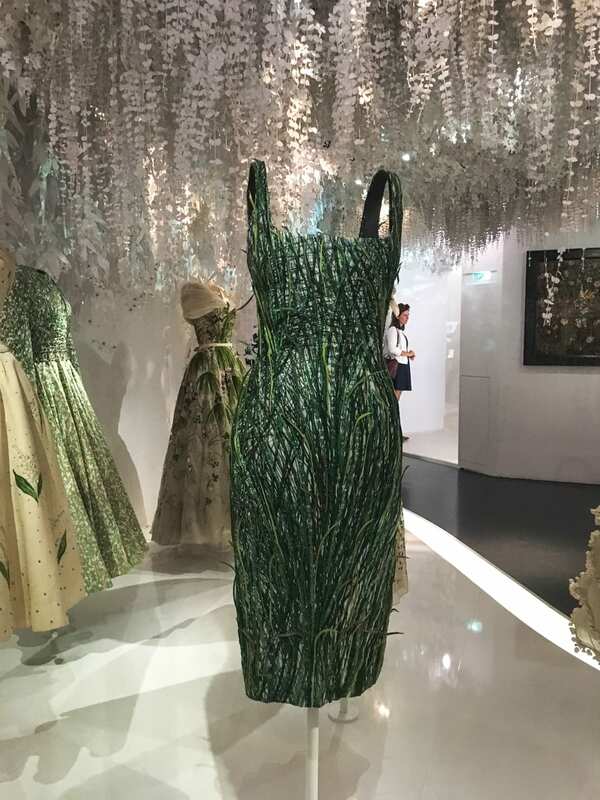 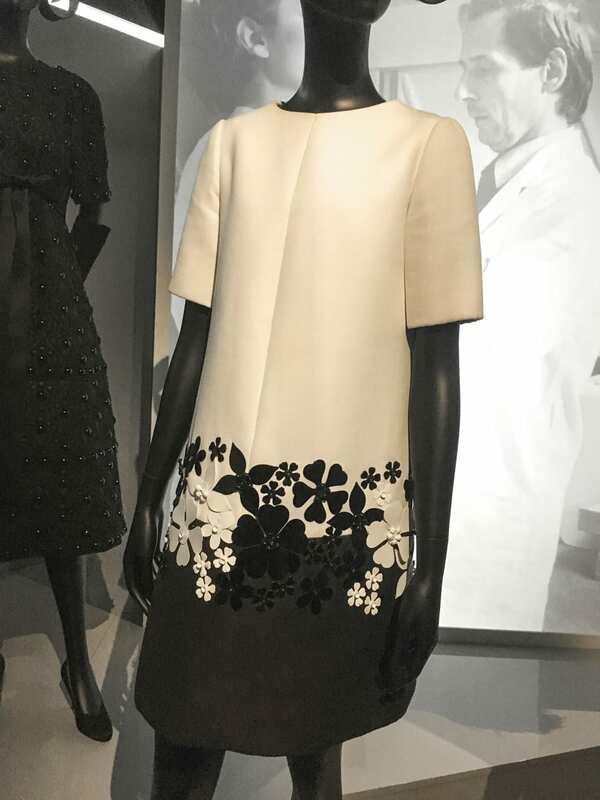 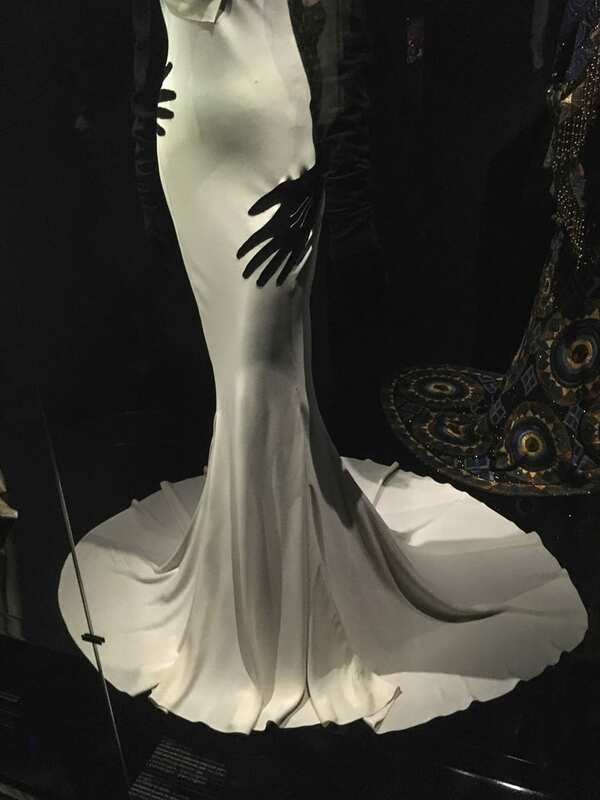 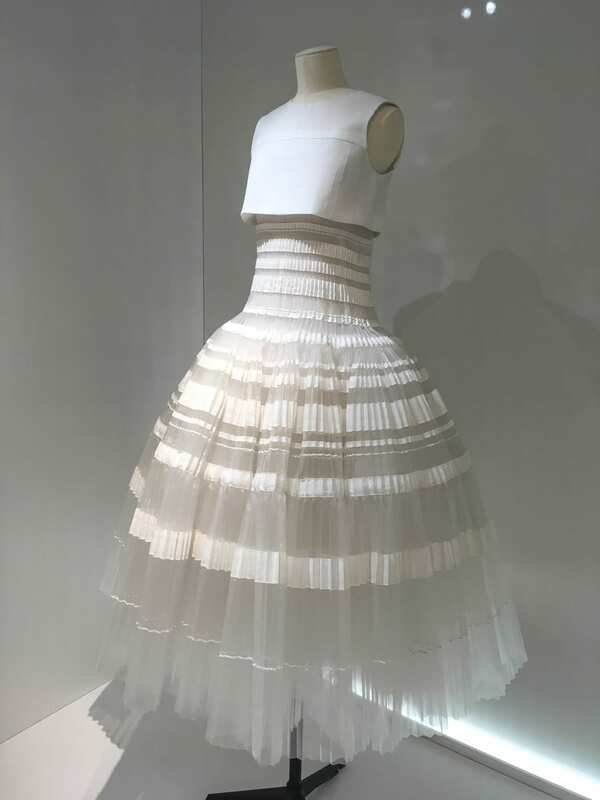 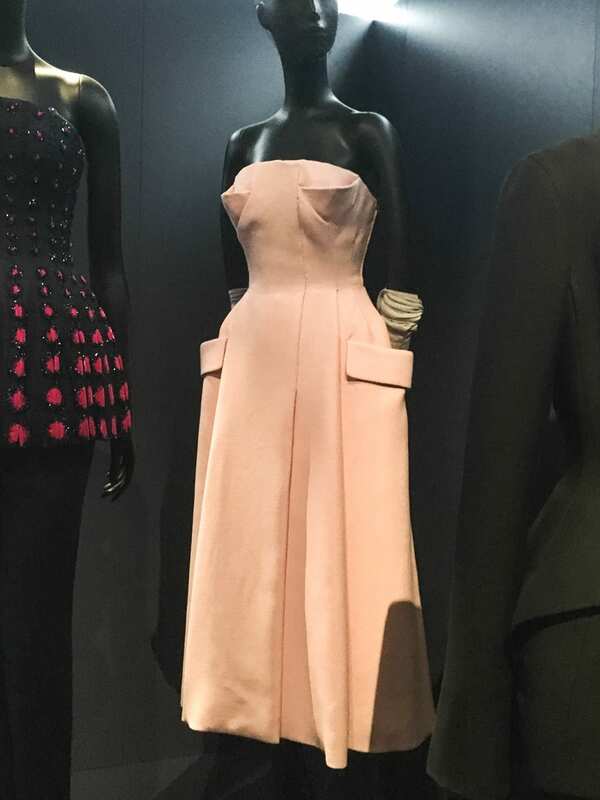 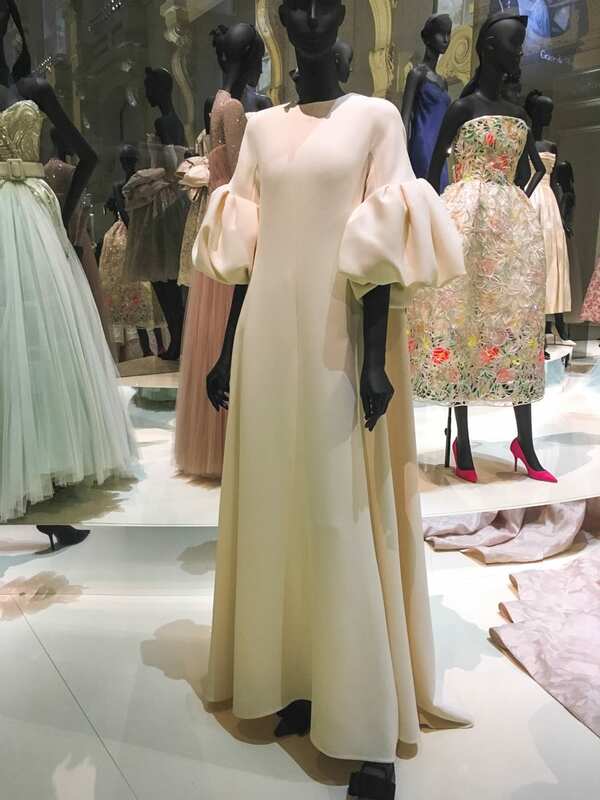 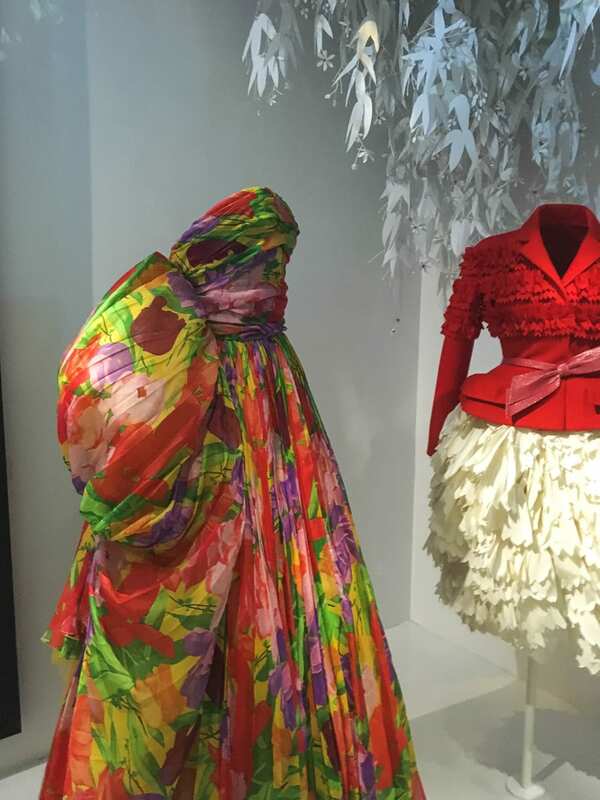 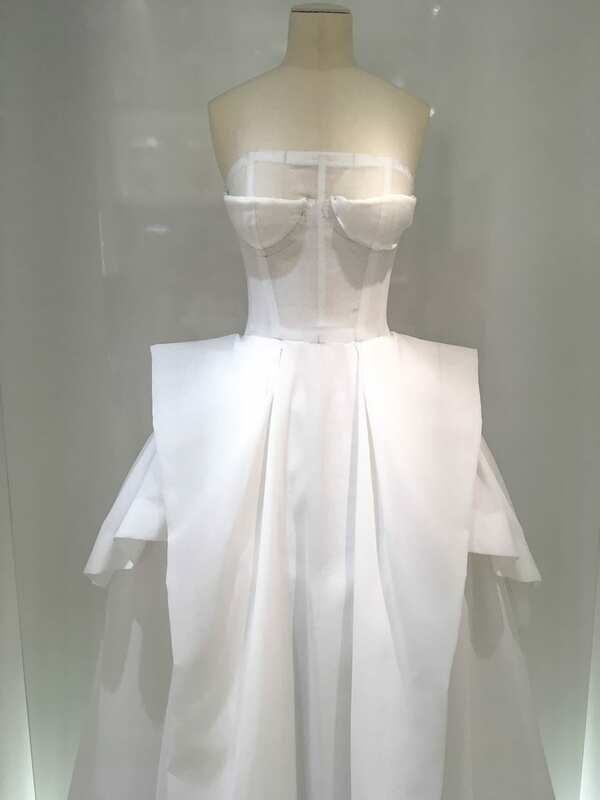 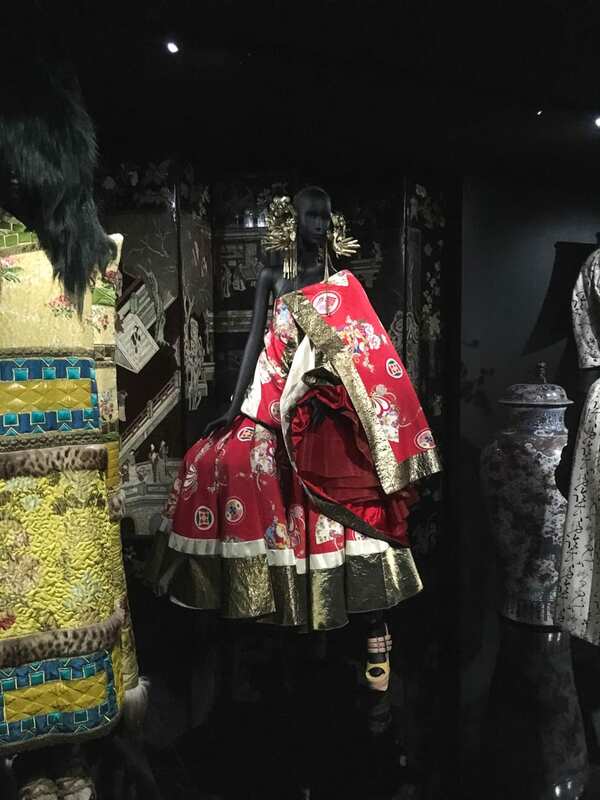 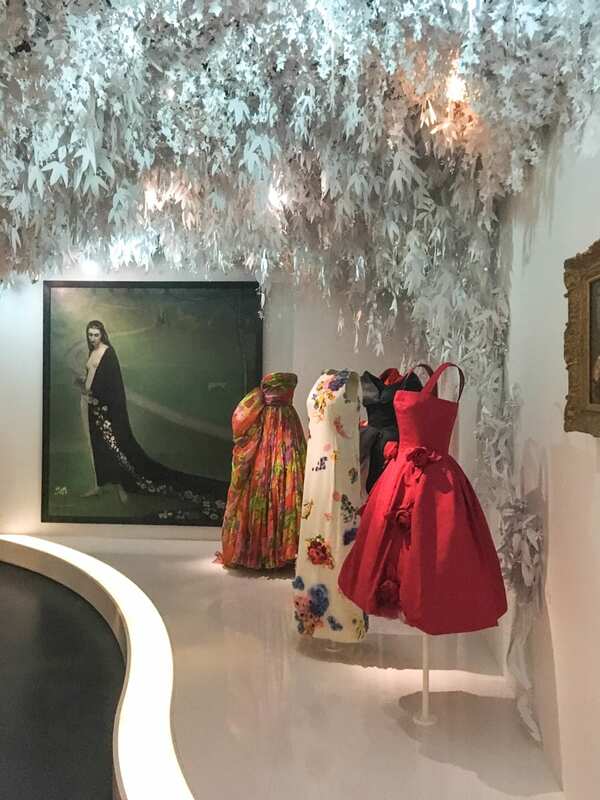 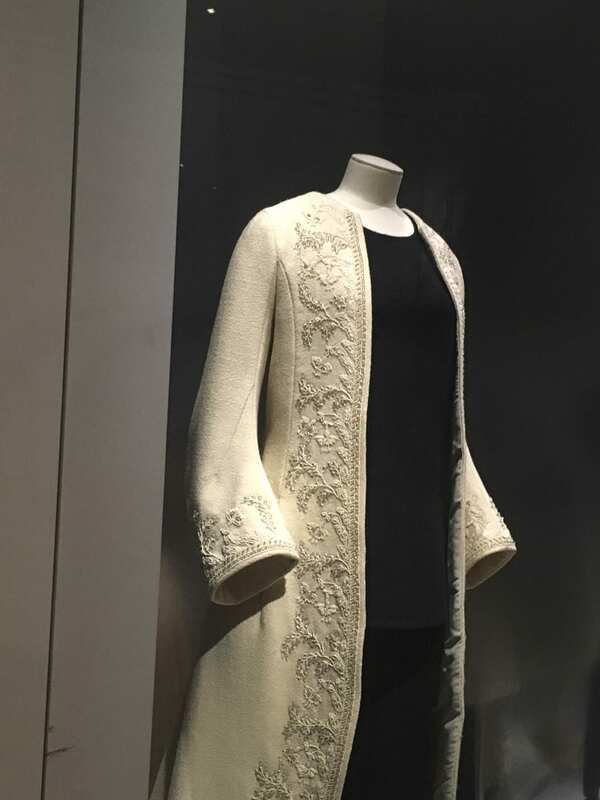 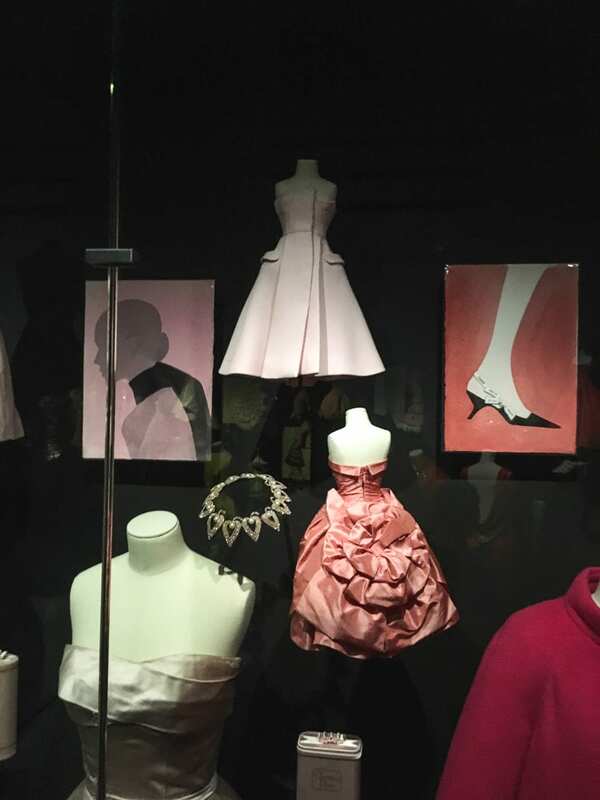 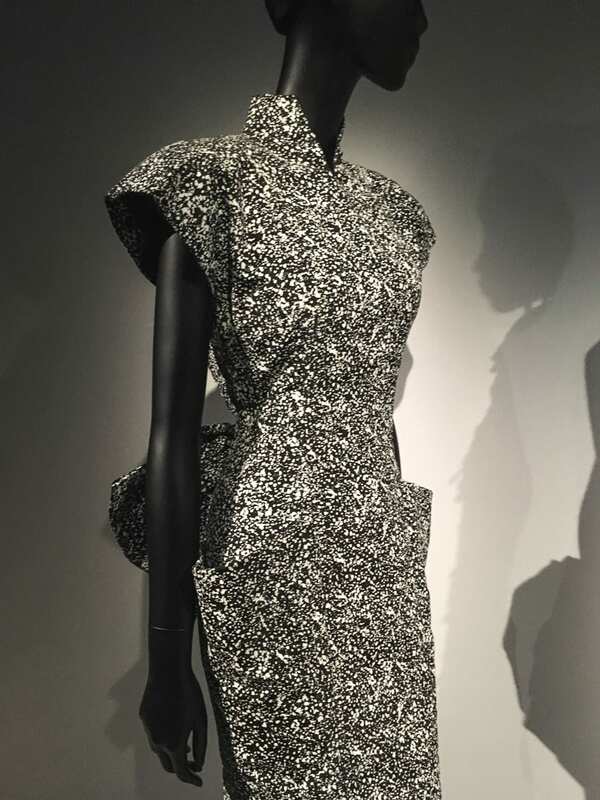 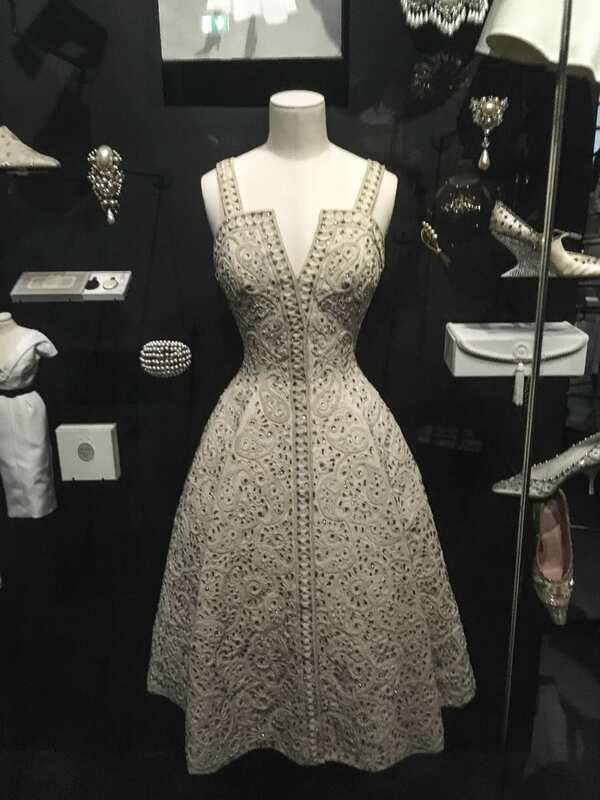 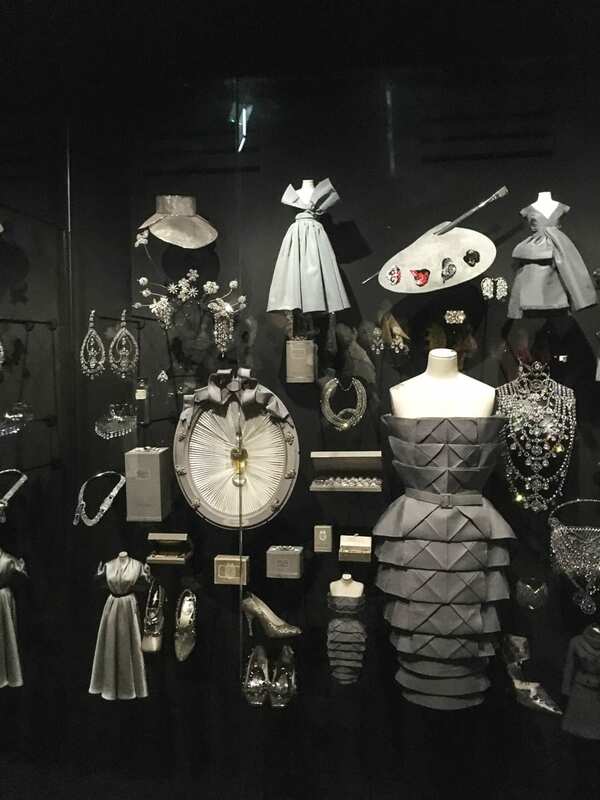 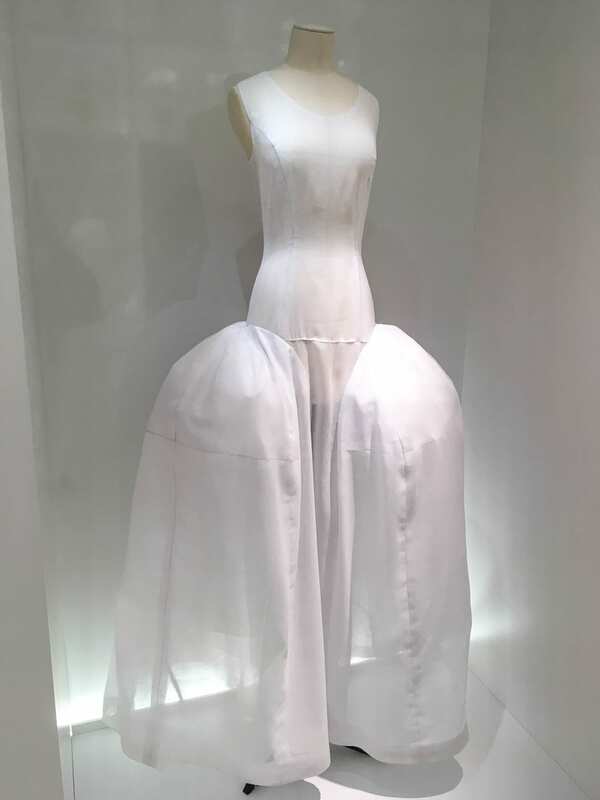 Perhaps the most memorable thing that happened on my recent trip to France was the Dior Haute Couture exhibit at the Musée des Arts Décoratifs in Paris. 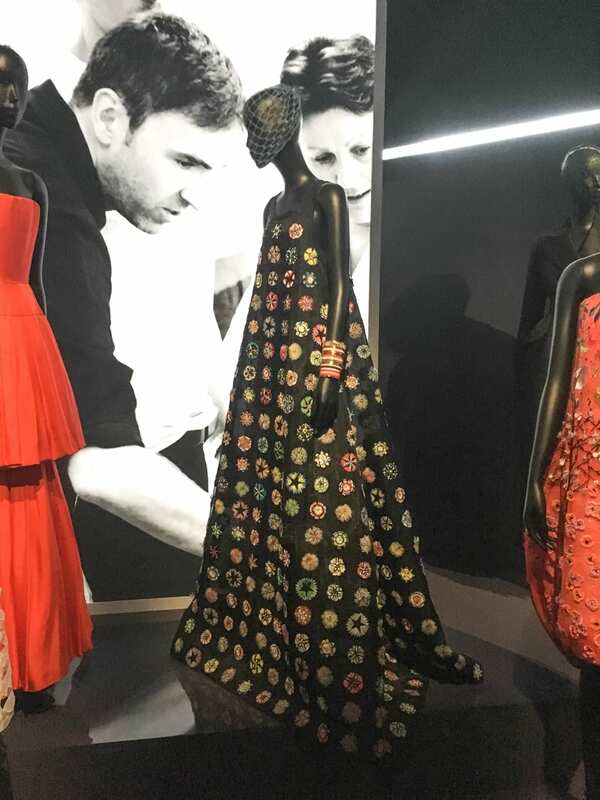 It was honestly one of the most incredible experiences I’ve ever had in a museum and is far and away the most impressive fashion exhibit I’ve had the opportunity to see. 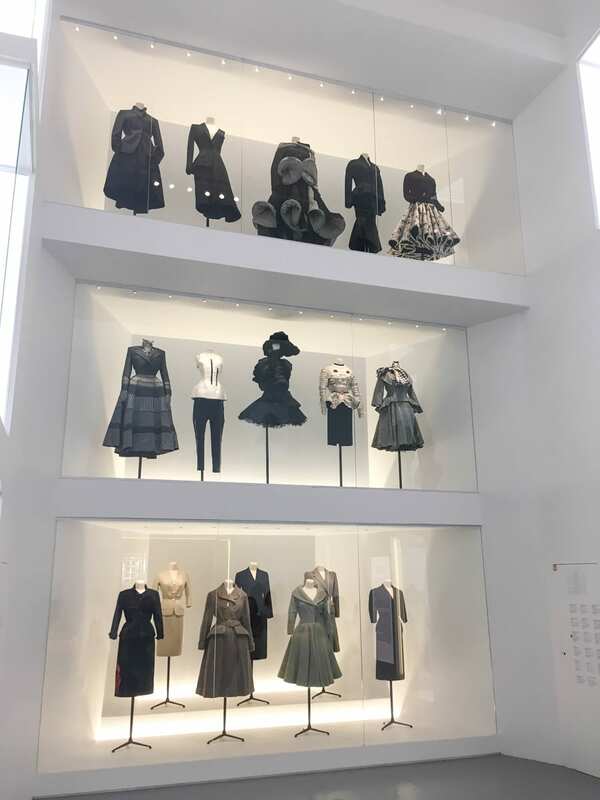 I was covered in goosebumps for most of it, eyes gaping open, face pressed against display glass, constantly setting off the alarm that was tripped if you got too close to the garments that weren’t enclosed. 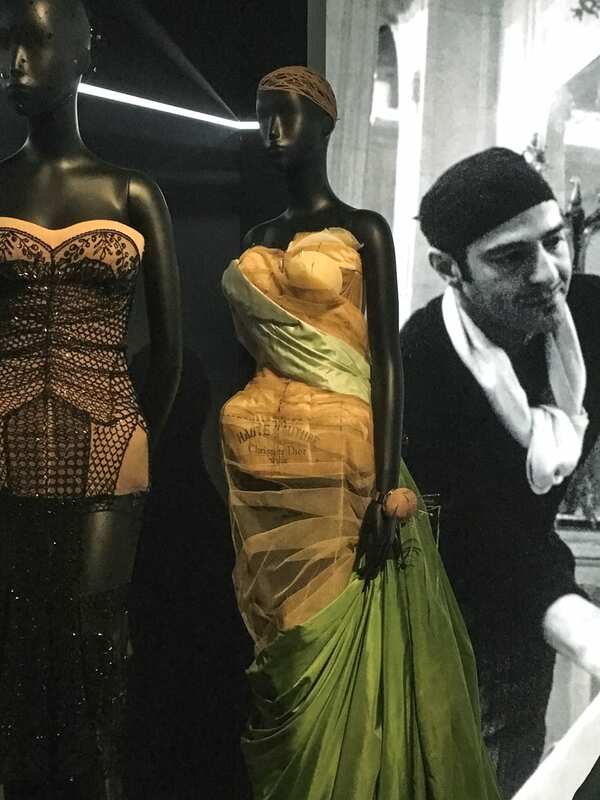 First of all, the exhibit was MASSIVE. 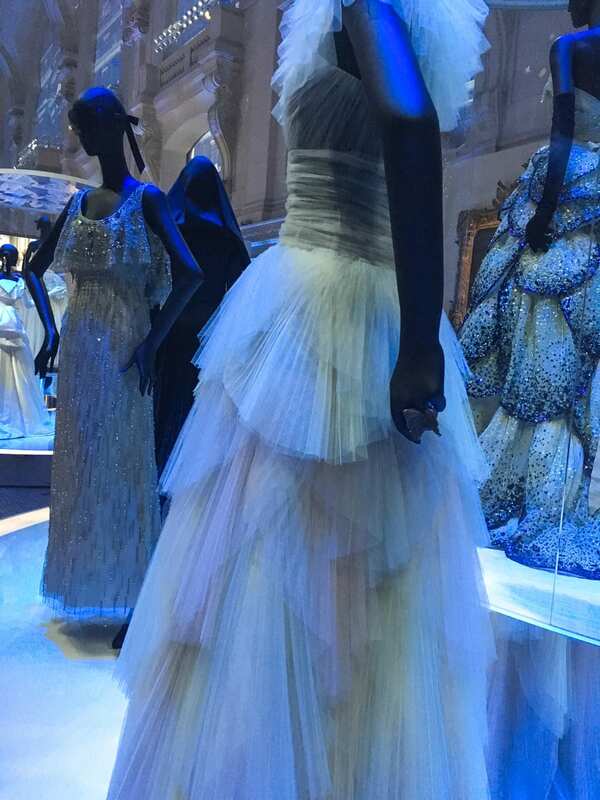 It just went on and on and on, each room more awe inducing than the one before. 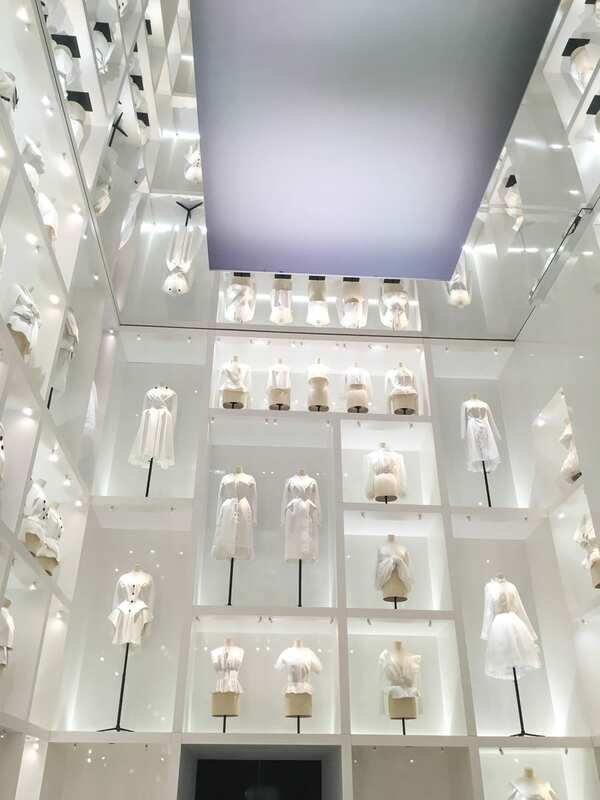 Over 32,000 square feet of fashion history in one building; the heart stops. 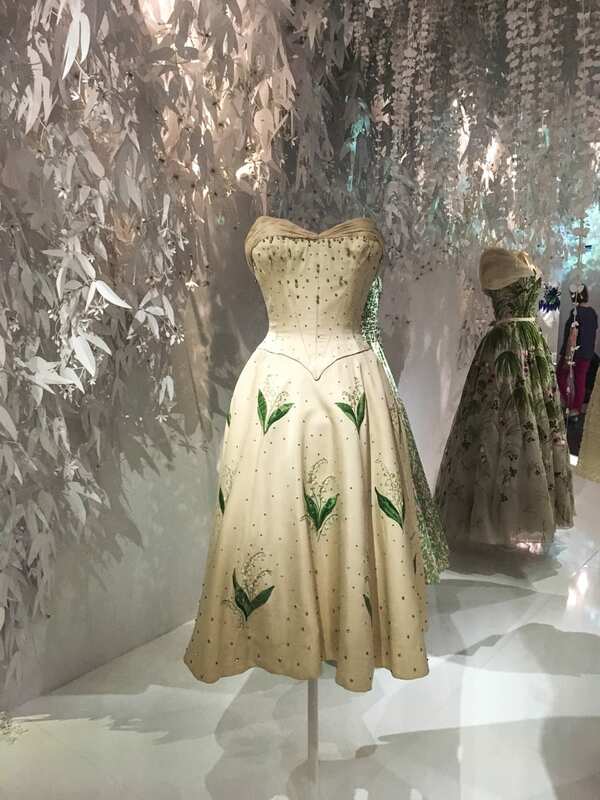 It exhaustively captured the legacy of Christian Dior, both as a designer and a fashion house. 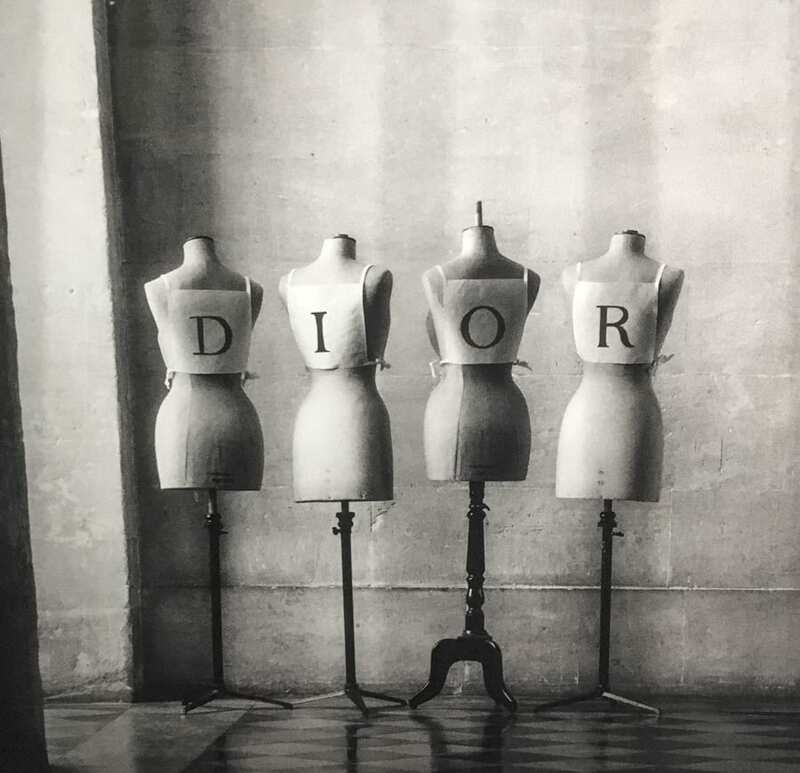 While I’ve always gravitated more towards Balenciaga as a designer, Dior was profoundly influential in terms of more “conventional” ideas of femininity. 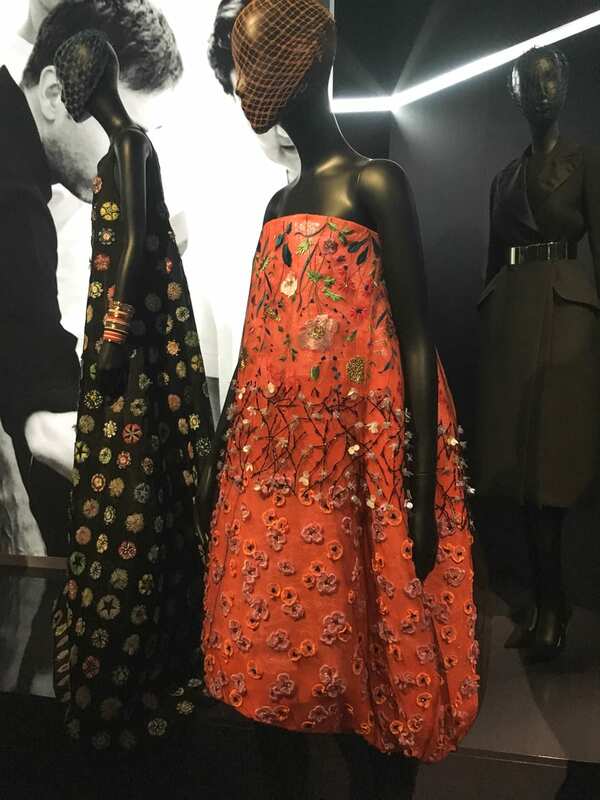 He was responsible for redefining our entire fashion aesthetic in the post-war years, and each successive designer who has taken over the house has had their own powerful vision for what womanhood looks like in their particular day and age. 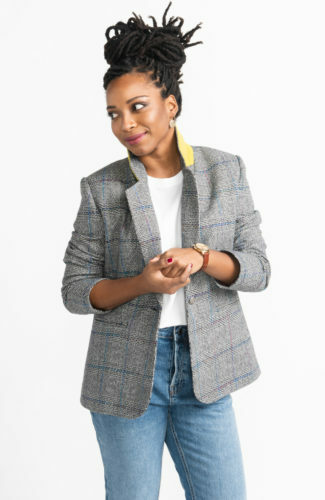 This show covers it all. 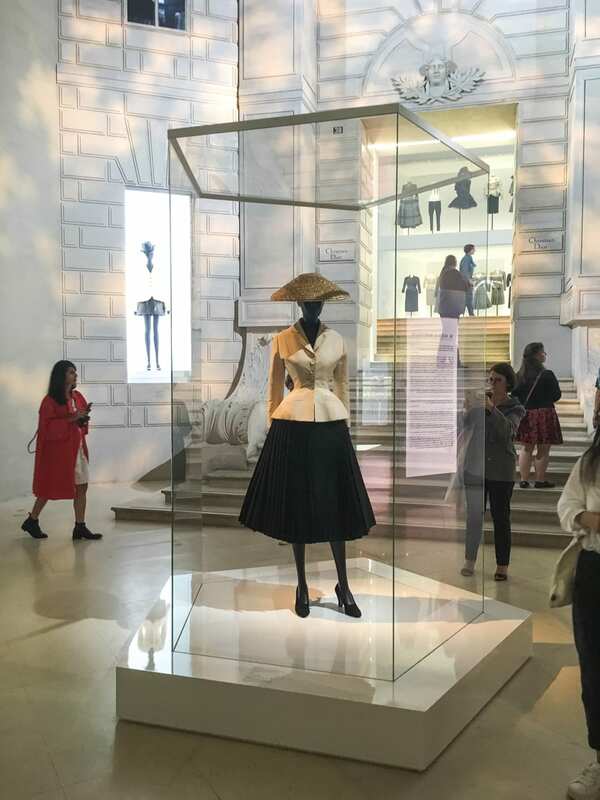 After a detailed history of Dior’s life and early history as a gallerist, the exhibit opens with displays themed by colour. 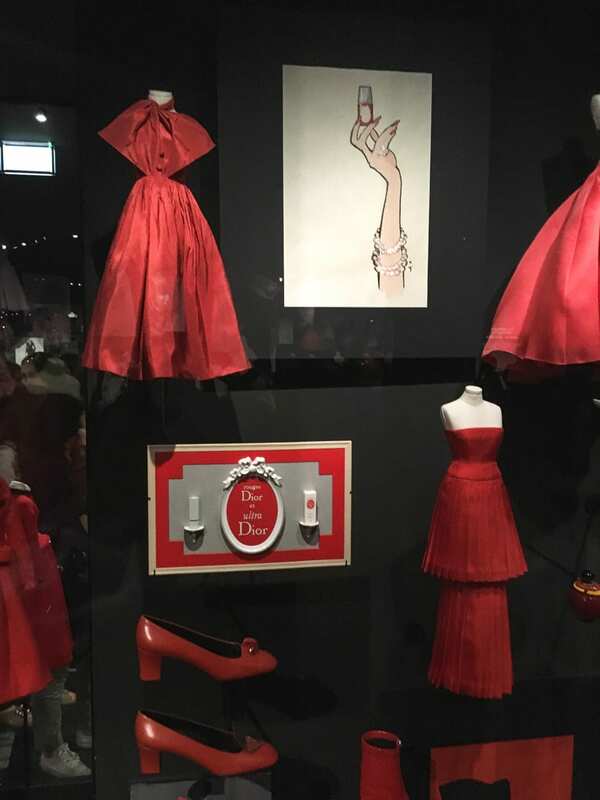 Huge cases lined the walls, filled with illustrations, jewelry, make-up, shoes, bags, perfumes and tiny scale recreations of some of their more iconic designs. 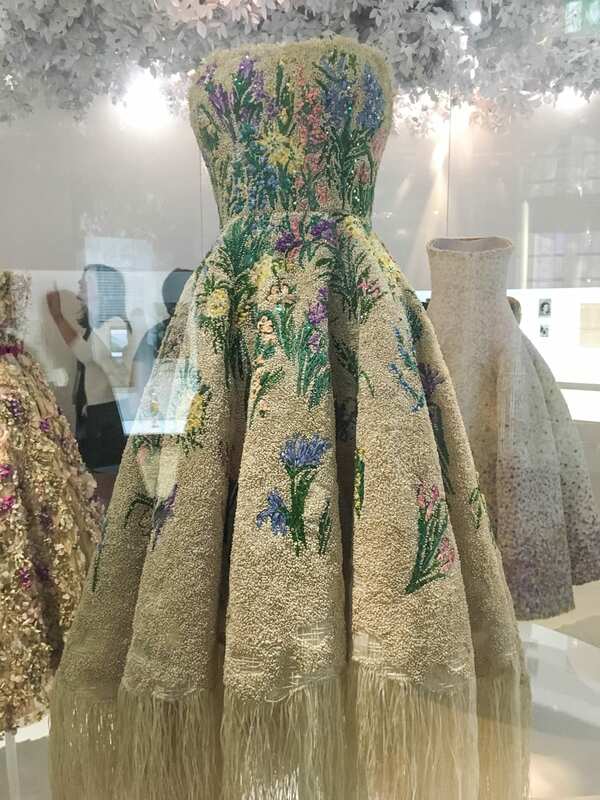 These photos aren’t terribly well lit but they give you a good idea of just how wide and deep the Dior lens goes. 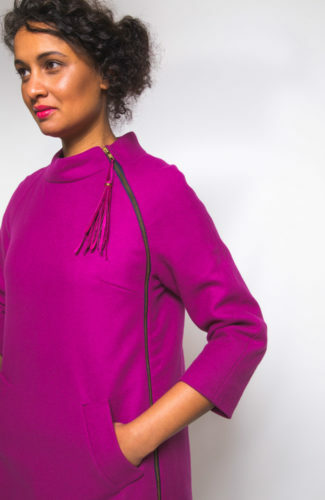 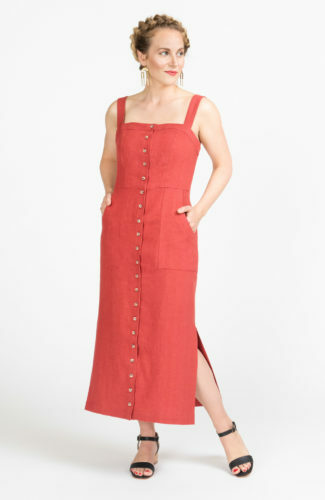 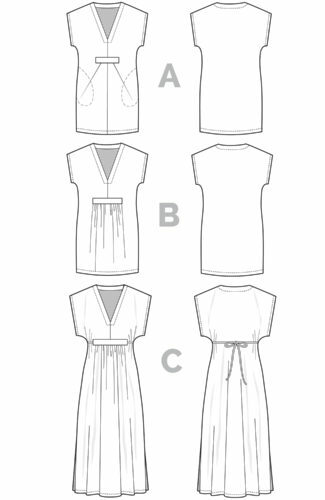 The small scale dresses slayed me; what a fun job to make them! 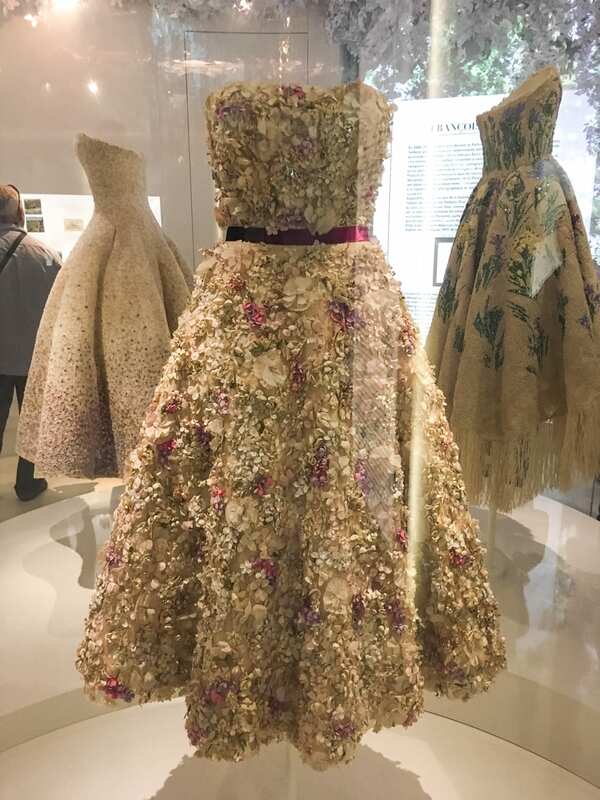 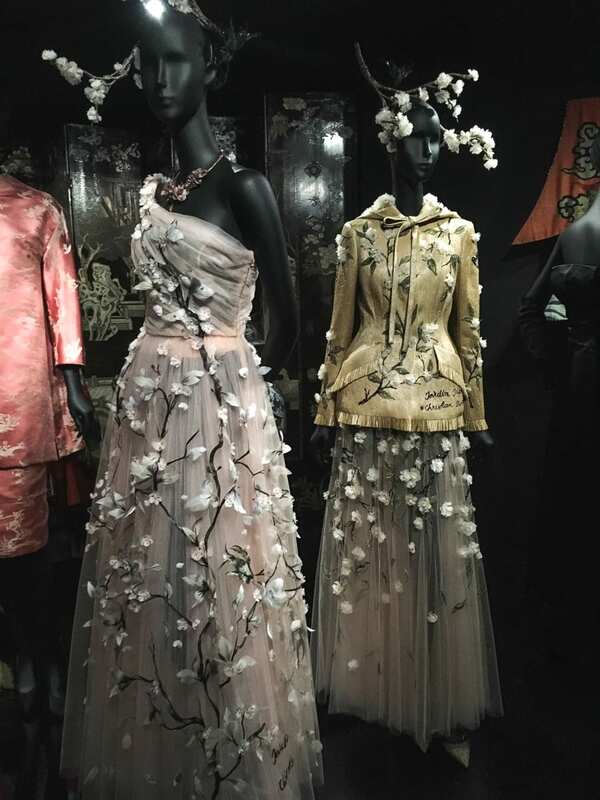 In one of my favourite rooms, the gowns were all inspired by flowers and plants; Dior was apparently an avid gardener. 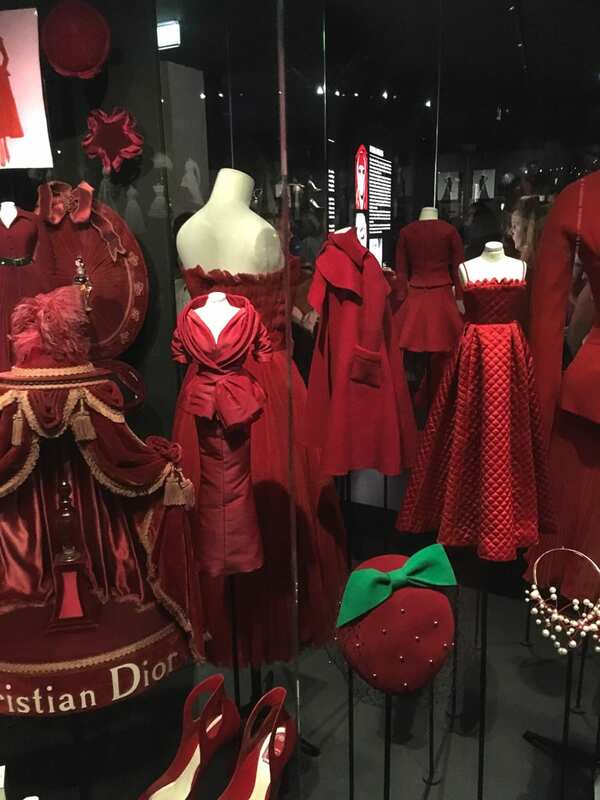 Walking into this space was a real “OMFG I AM DYINGGGGG” moment. 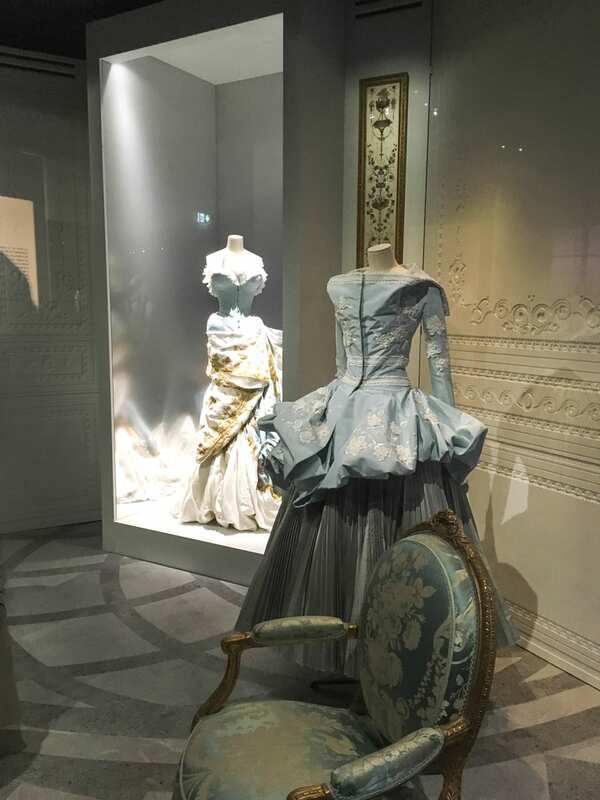 Other themed rooms followed. 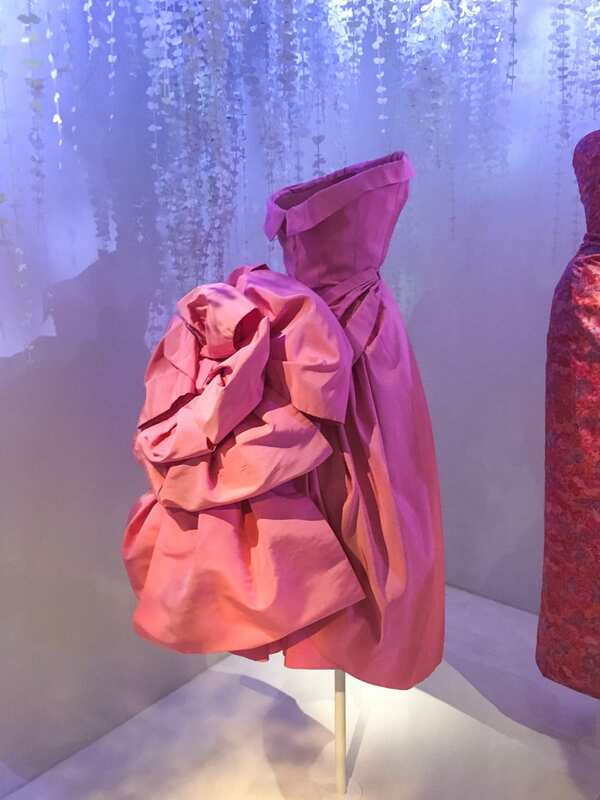 John Galliano was probably the most referential; his shows always had really over-the-top ideas that generated a lot of attention, but personally I much prefer the work done by Raf Simons, who headed the house from 2012-2015. 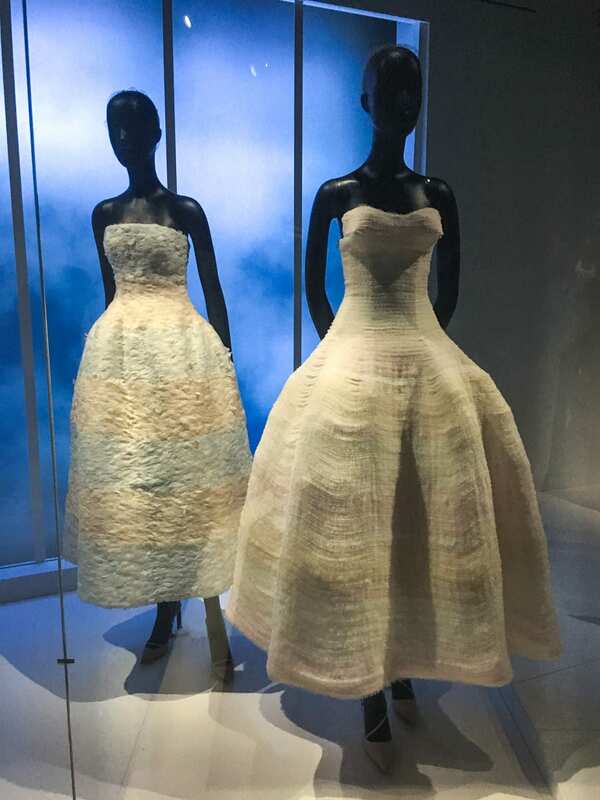 His designs were modern and original while still being very “Dior”, with a purity of design intent I find very compelling. 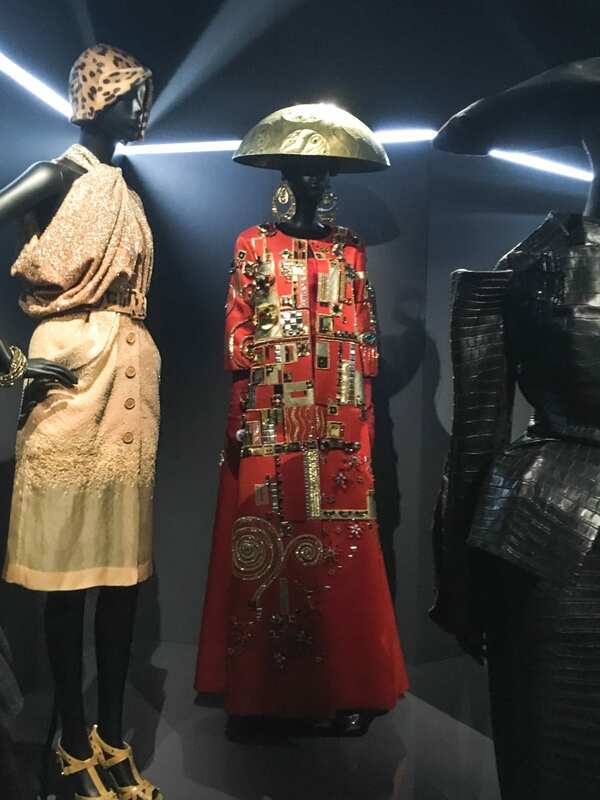 Here are some looks I liked; it should be pretty easy to spot the Galliano. 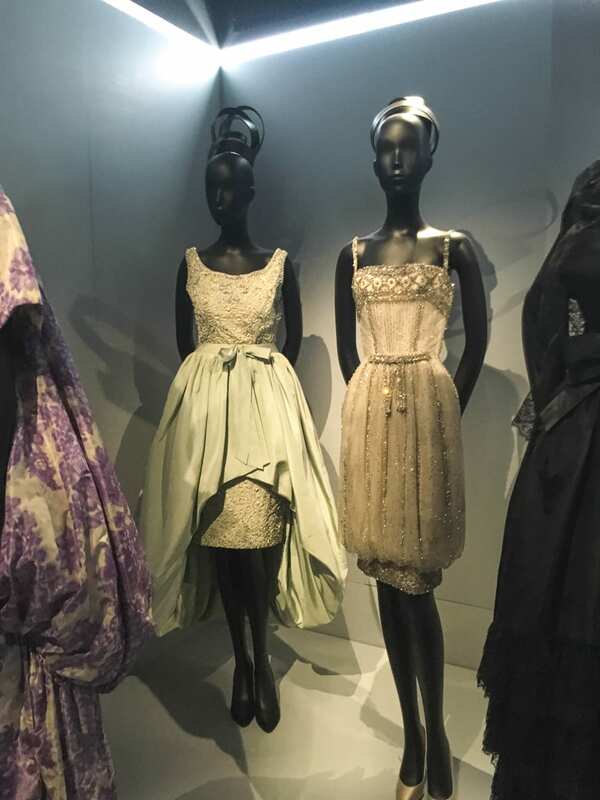 Some more beauties. 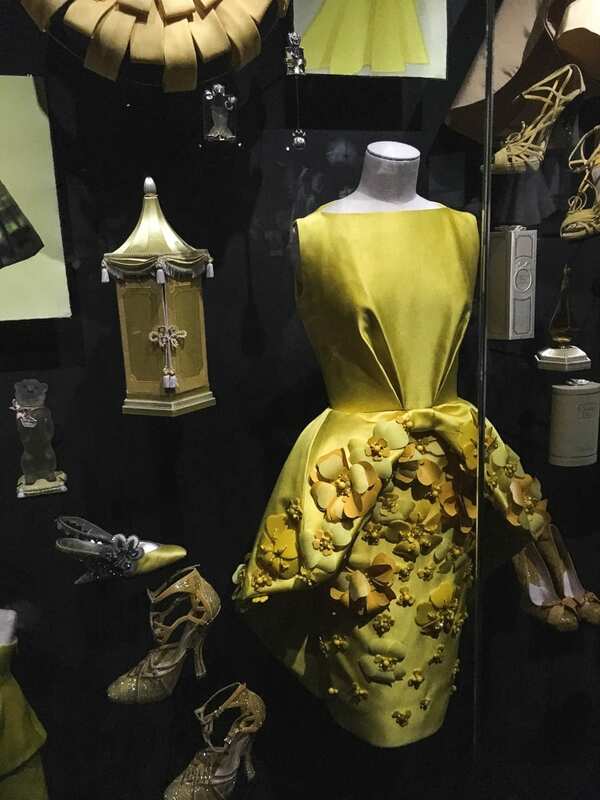 The yellow gown below was one of my favourites (Raf, naturally). 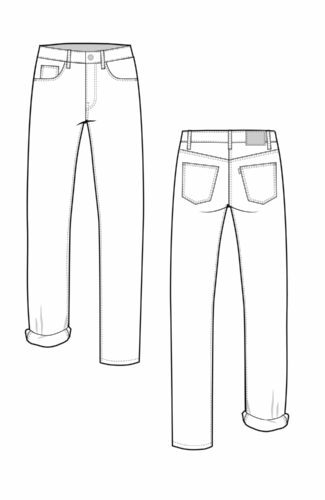 Oh wait, not done yet! 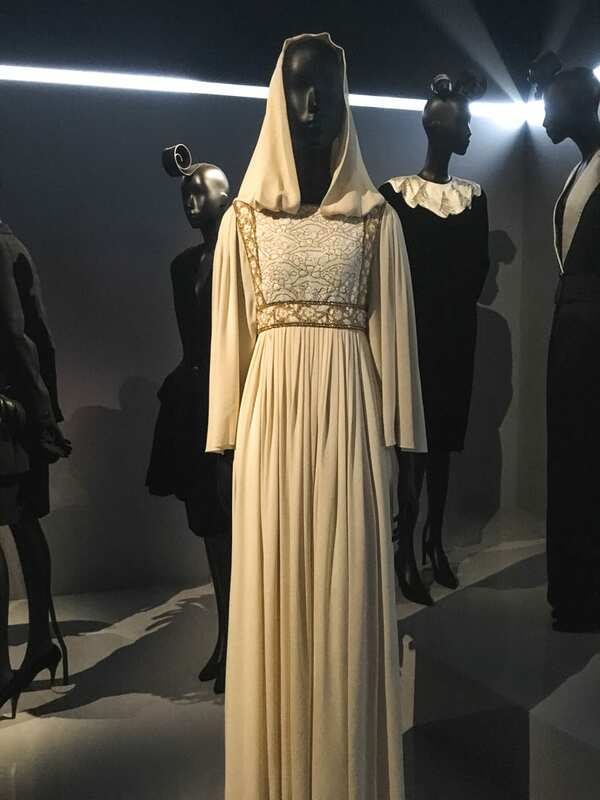 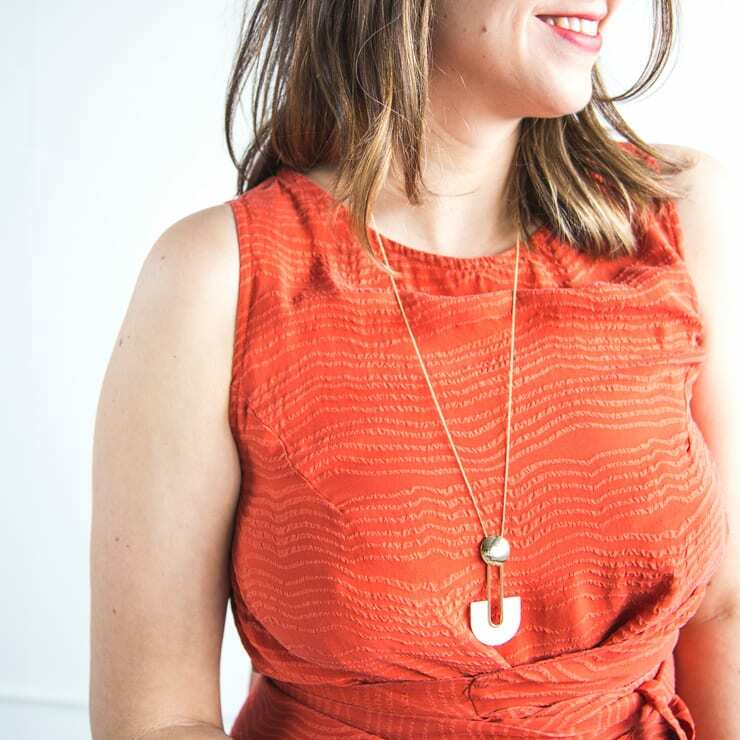 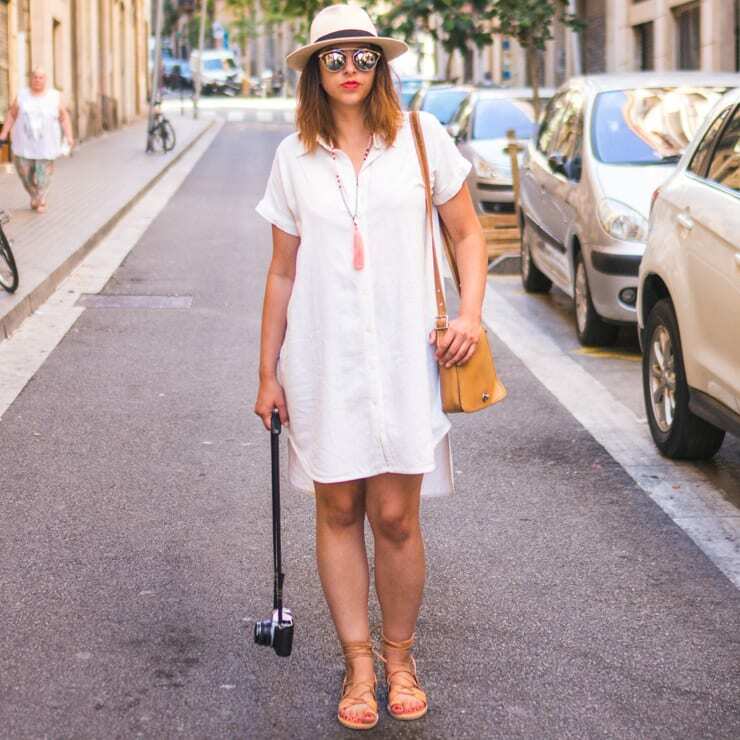 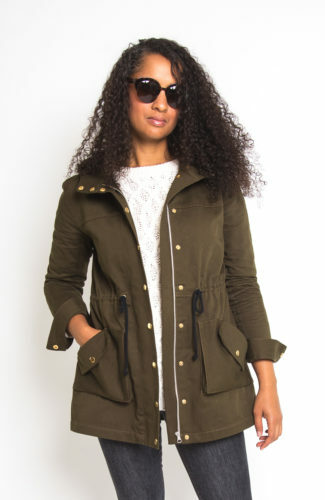 At this point my head was swimming and I was walking around in a daze, like how this is all possible, and the world is a magical place filled with wonder, and how am I ever going to wear real clothes again… and then I hit the muslin room. 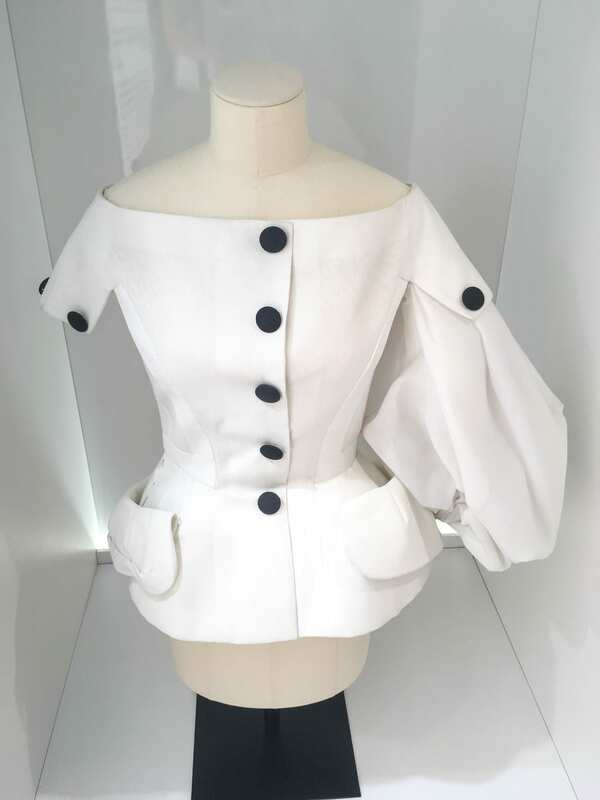 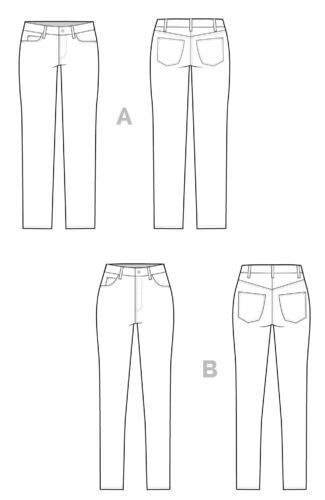 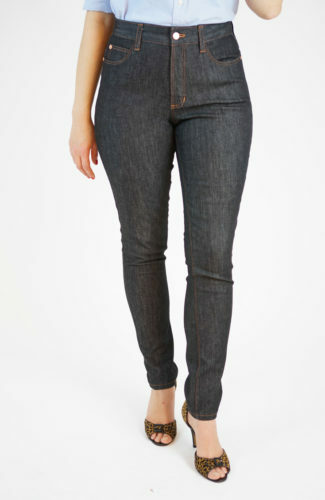 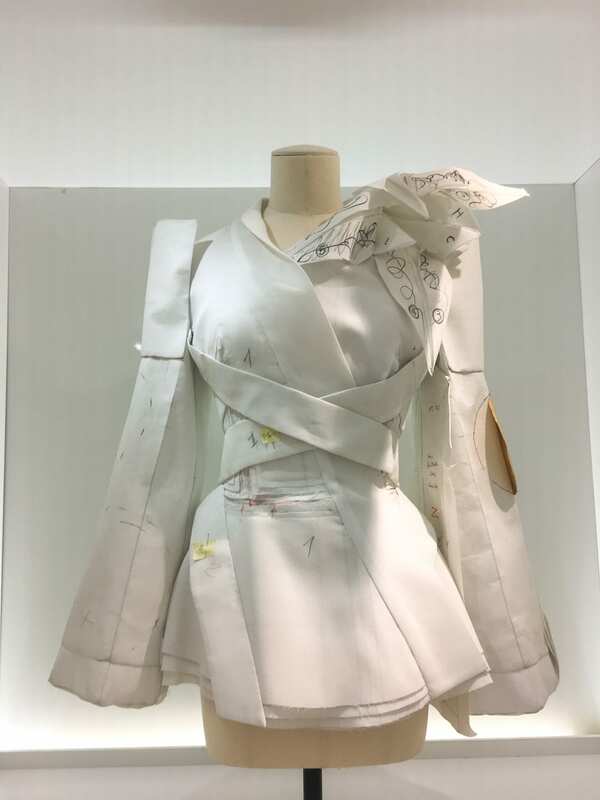 During the design process, the designer submits sketches to the real heart of any fashion house, the atelier. 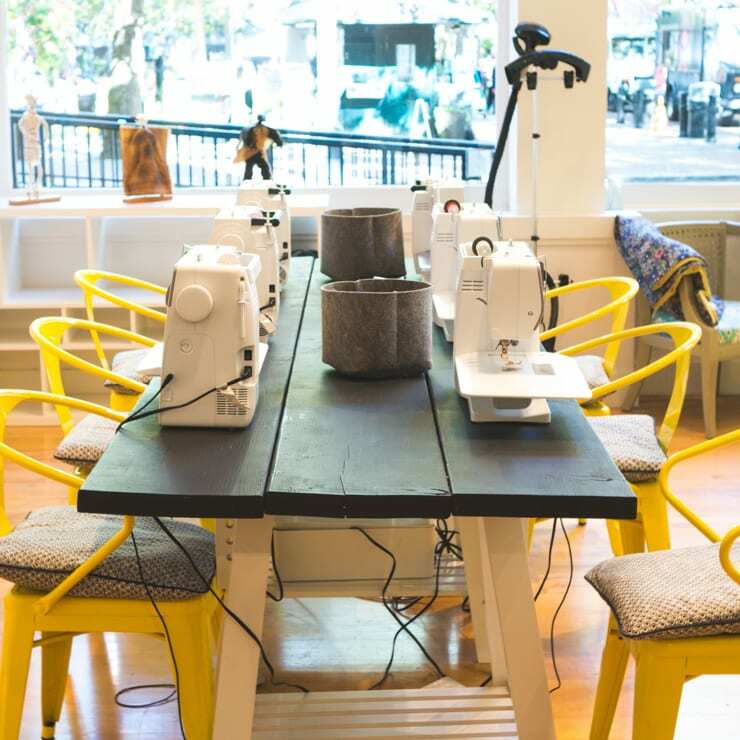 This is where the real work gets done. 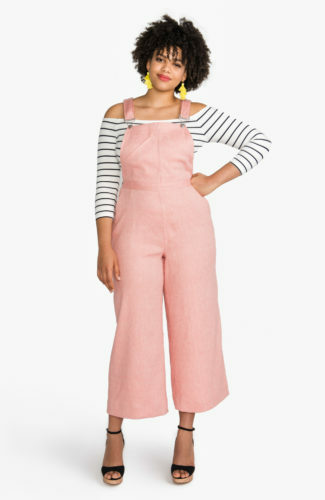 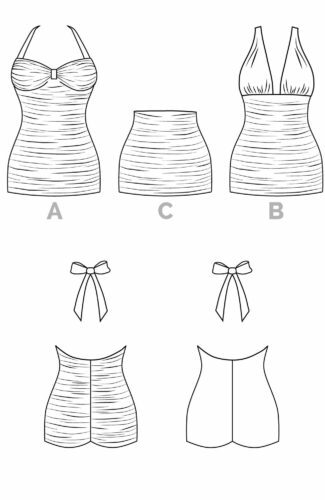 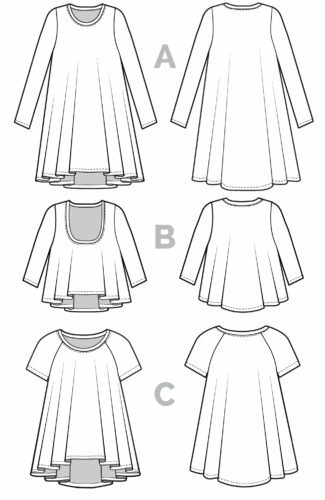 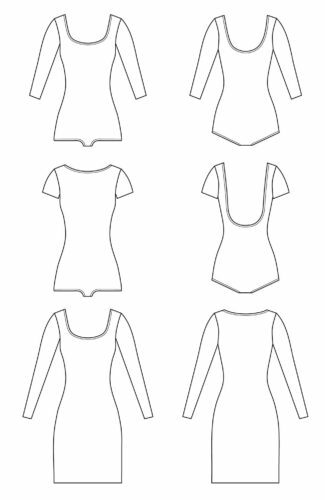 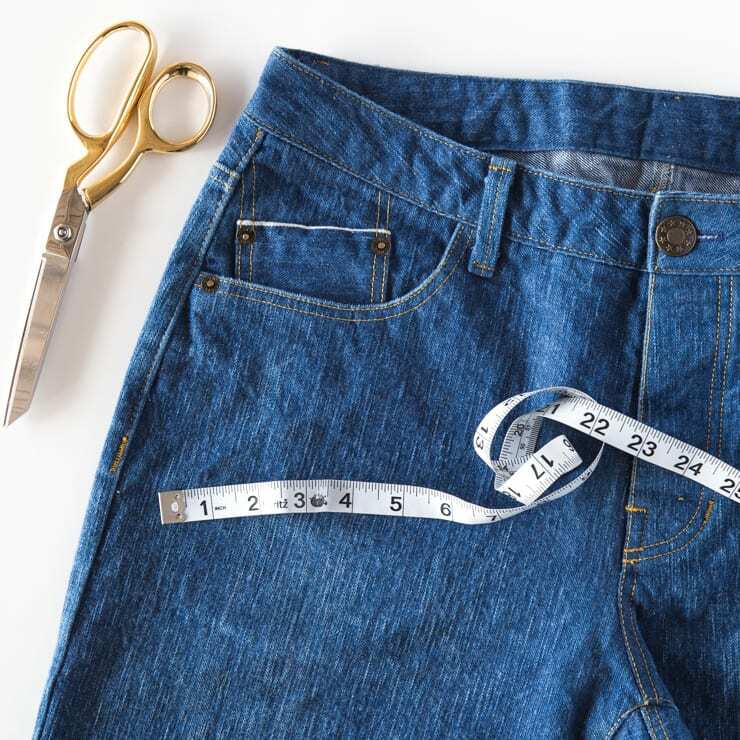 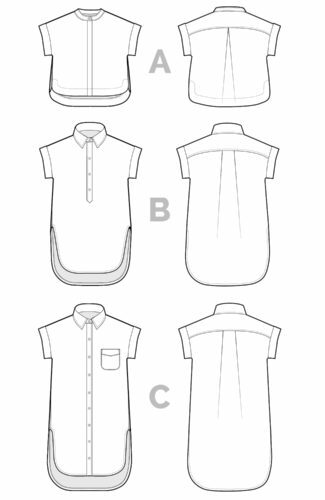 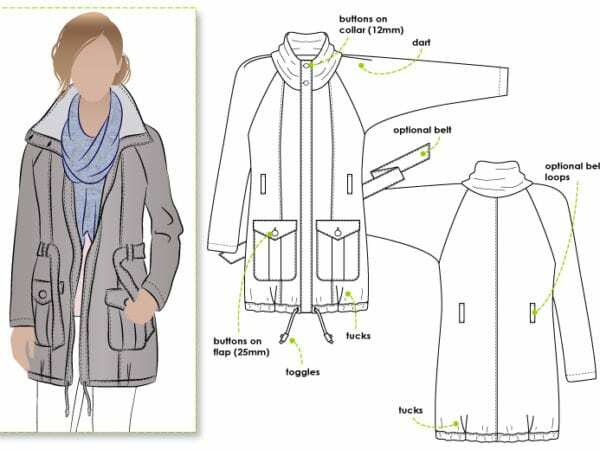 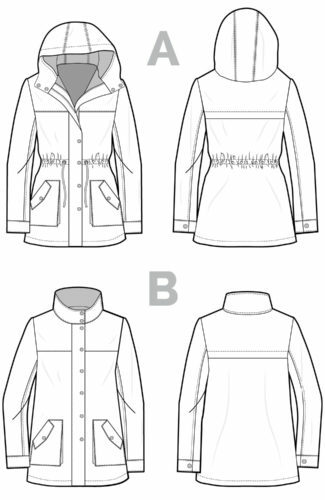 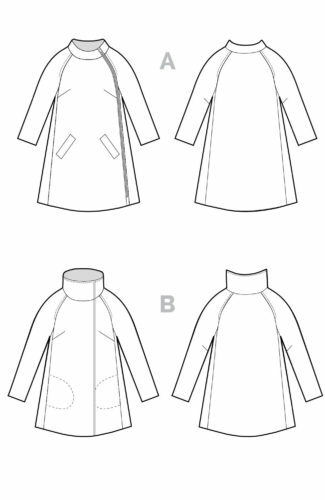 Before any design is replicated in fashion fabric, its mocked up in muslin to test scale, proportion etc. 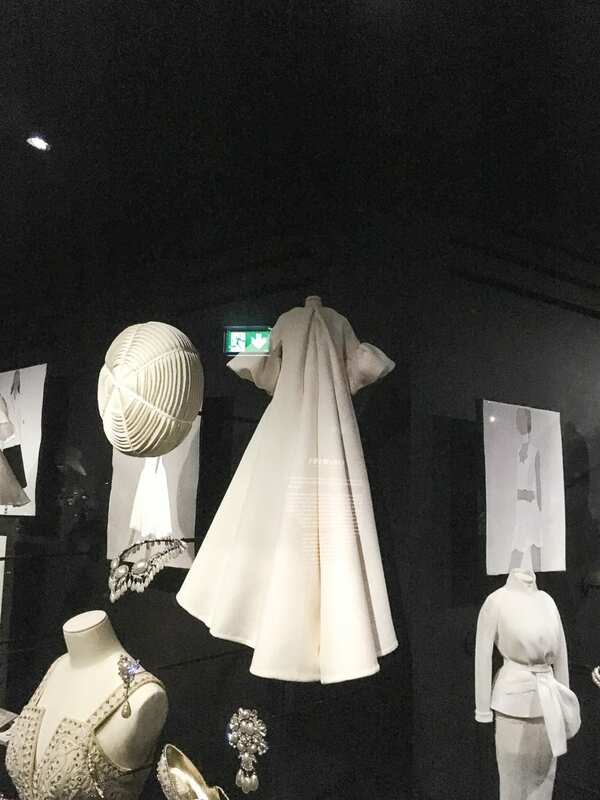 They had an enormous room filled floor to ceiling with these muslins. 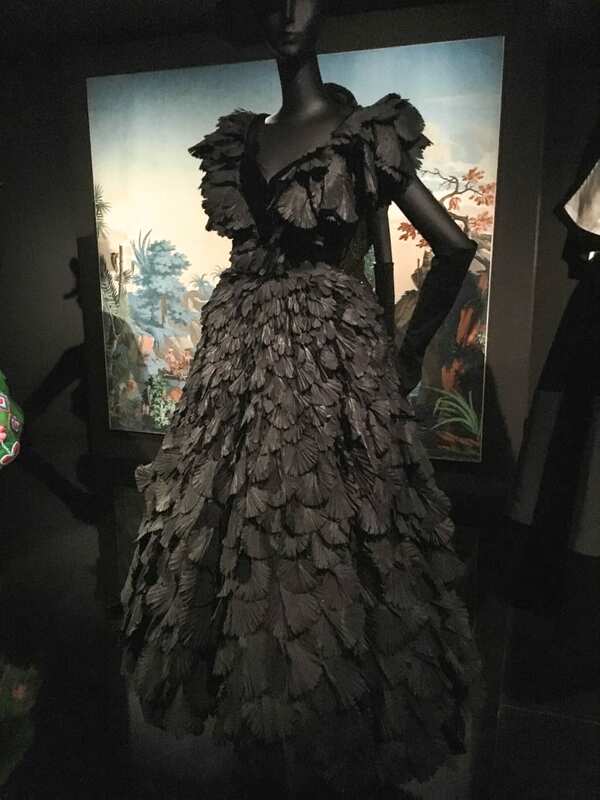 I almost started crying. 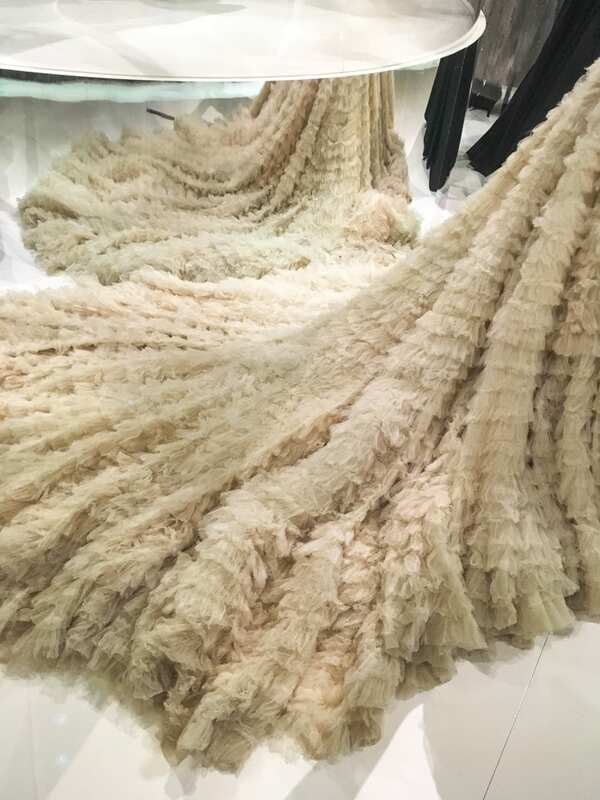 The profound skill, craftsmanship and talent in that room was mind-blowing. 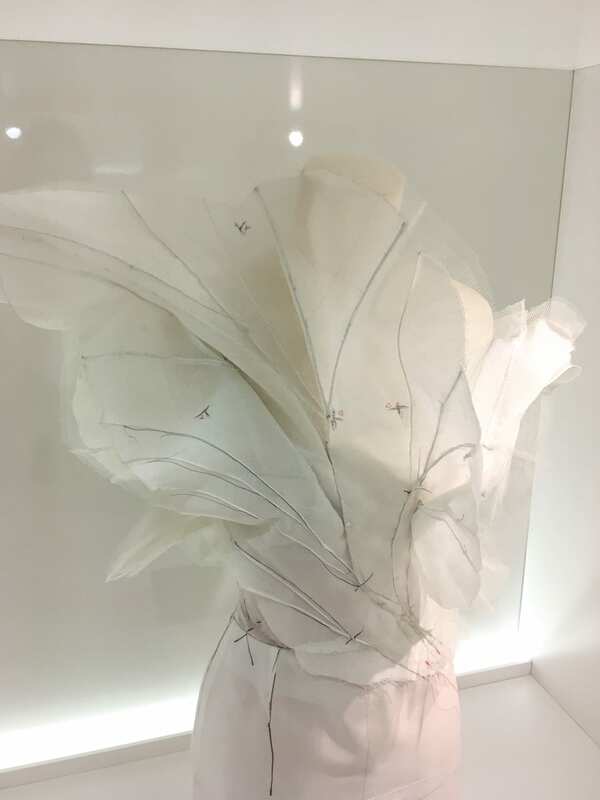 Stripped of ornament to the barest bones, the ideas were the star. 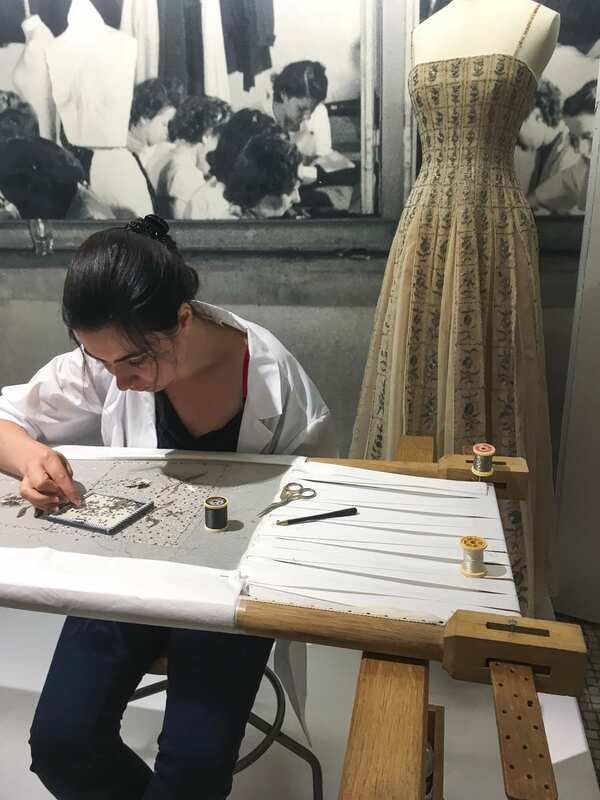 As if the exhibit wasn’t delightful enough, they had one of the craftspeople from the atelier working on site. 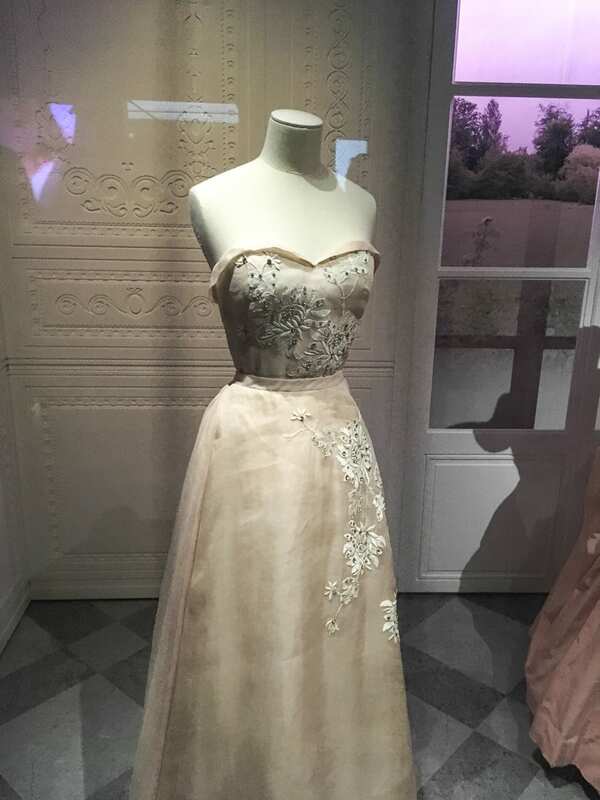 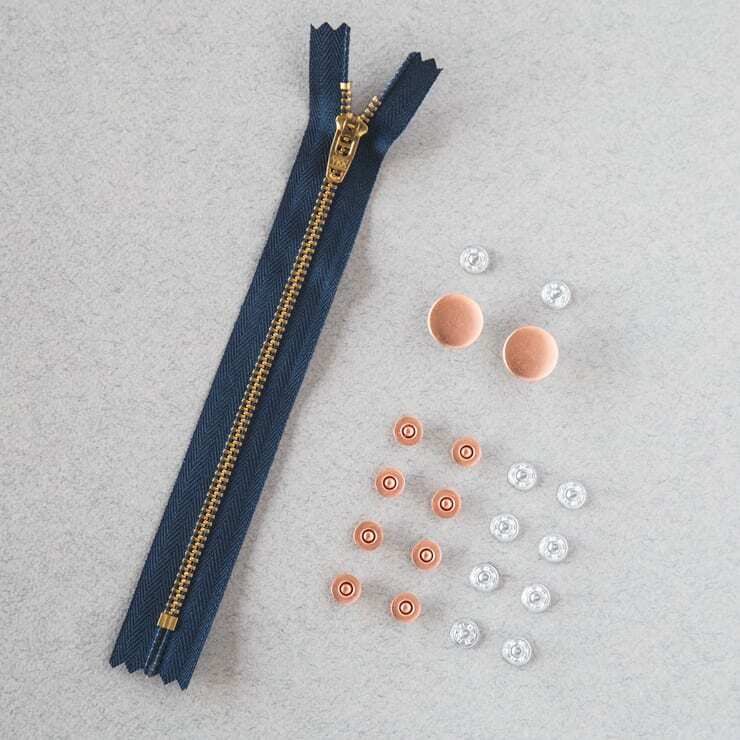 I think it changed up a few times (someone told me they saw leather bags being made) but I was mesmerized as I watched her beading fabric for an evening gown. 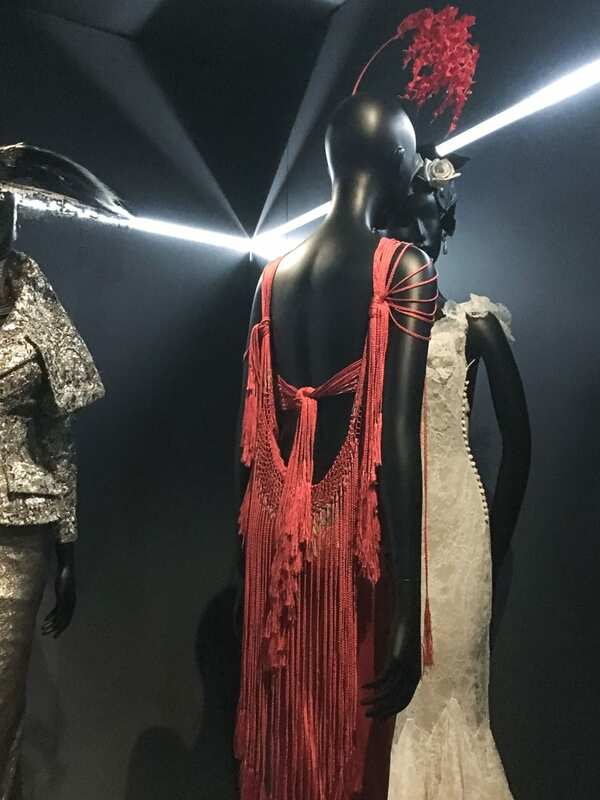 You can see the video I shot here. 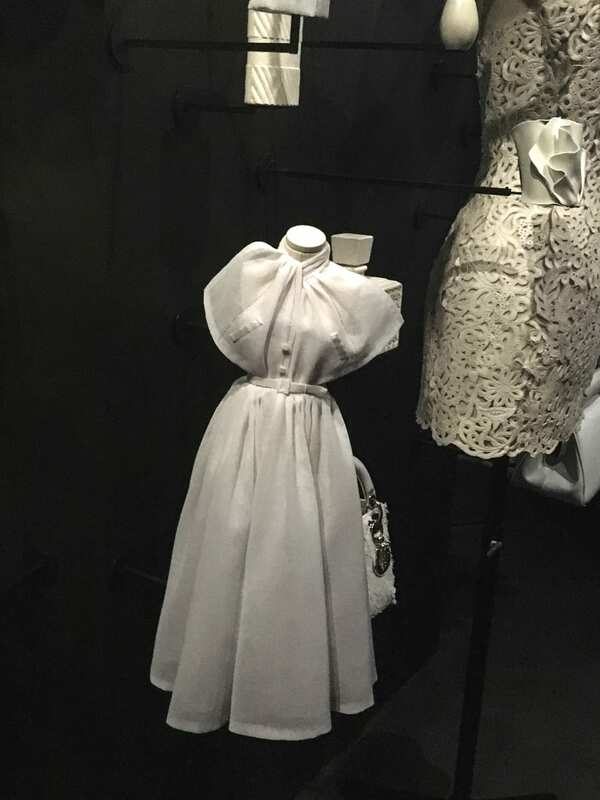 I could say a lot more about this wonderful exhibit but I think these images speak for themselves. 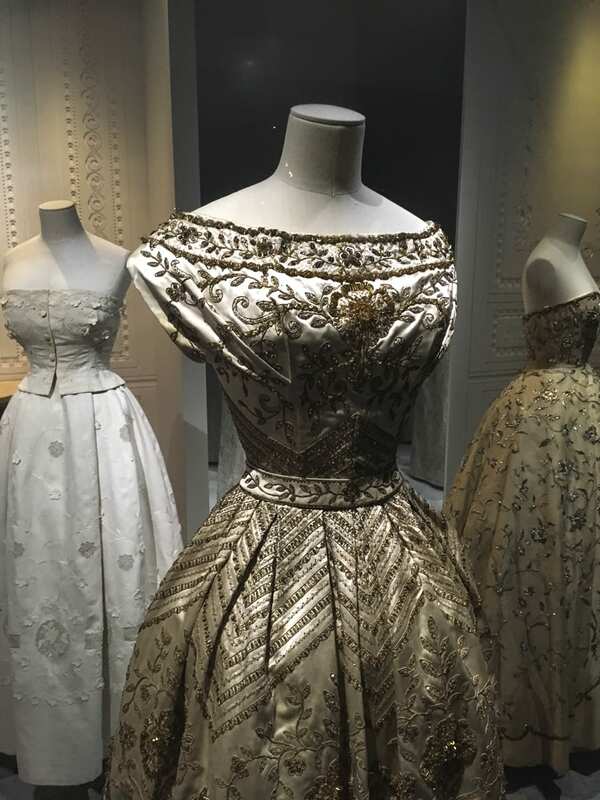 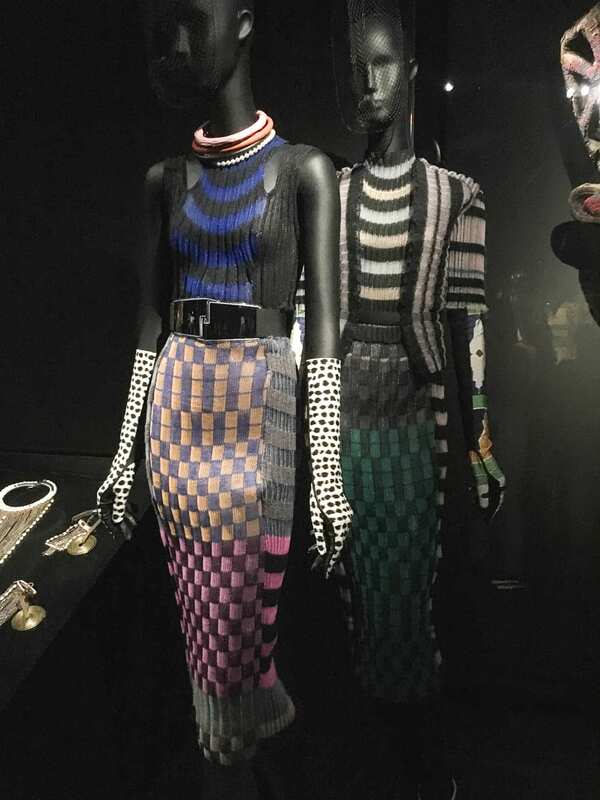 If you have a chance to see it, it’s definitely worth a trip to Paris; it runs until January 7, 2018.
Who is your favourite couturier? 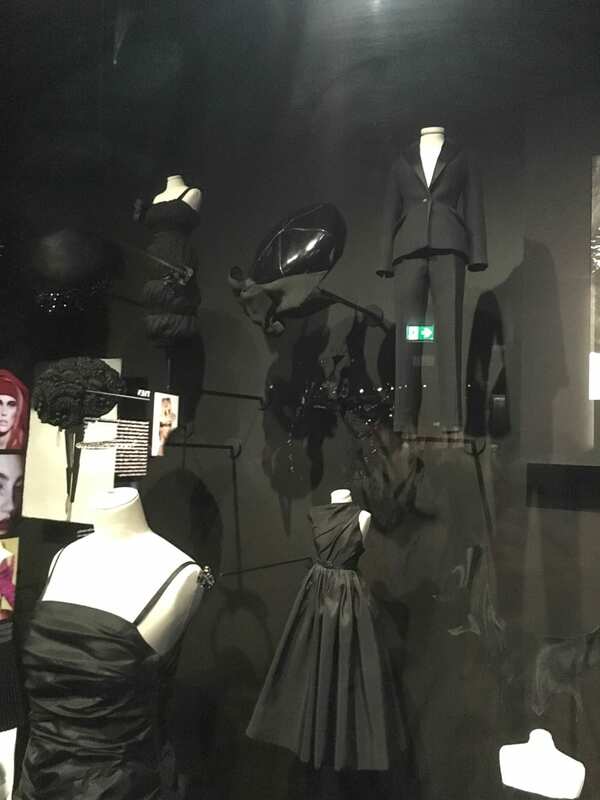 And what was your favourite look from the exhibit?